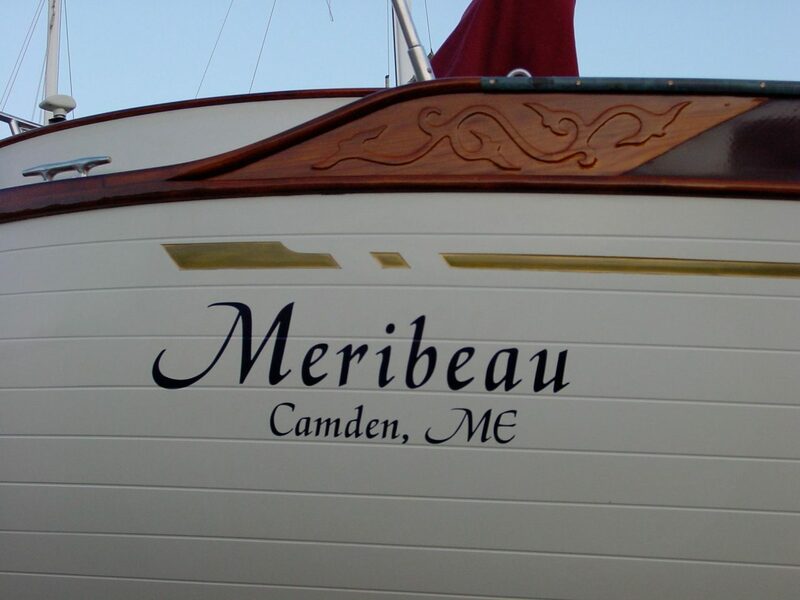 MERIBEAU was purchased by her current owners in 2006 and was transported to Hinckley where she underwent a substantial cosmetic and mechanical refit. 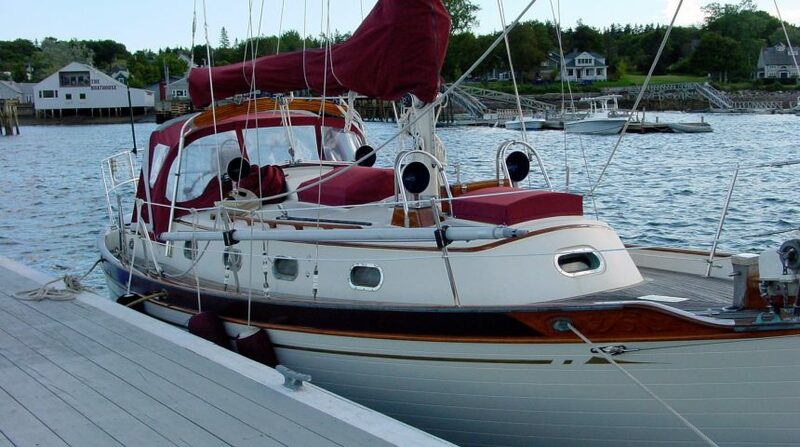 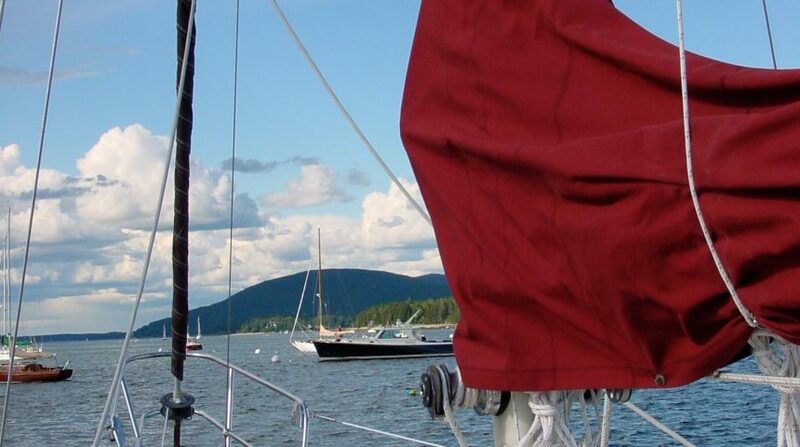 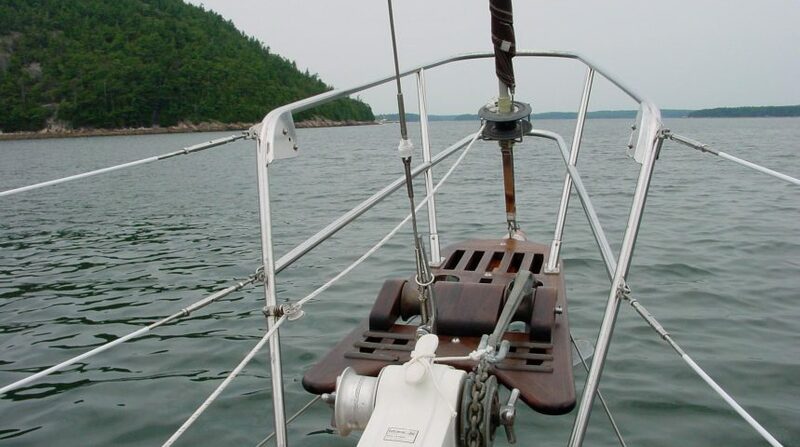 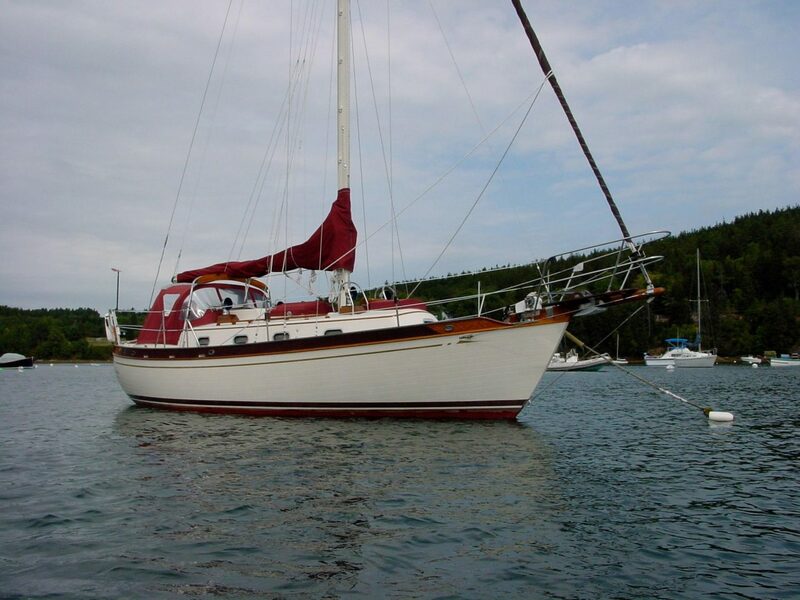 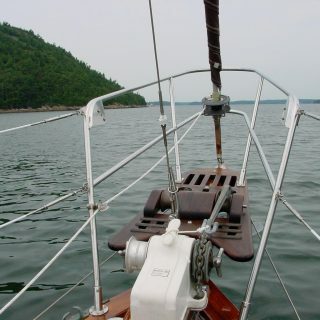 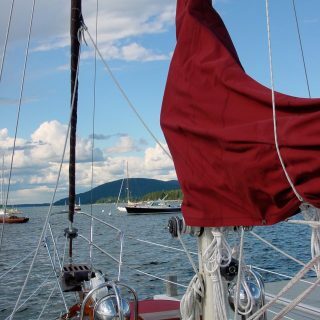 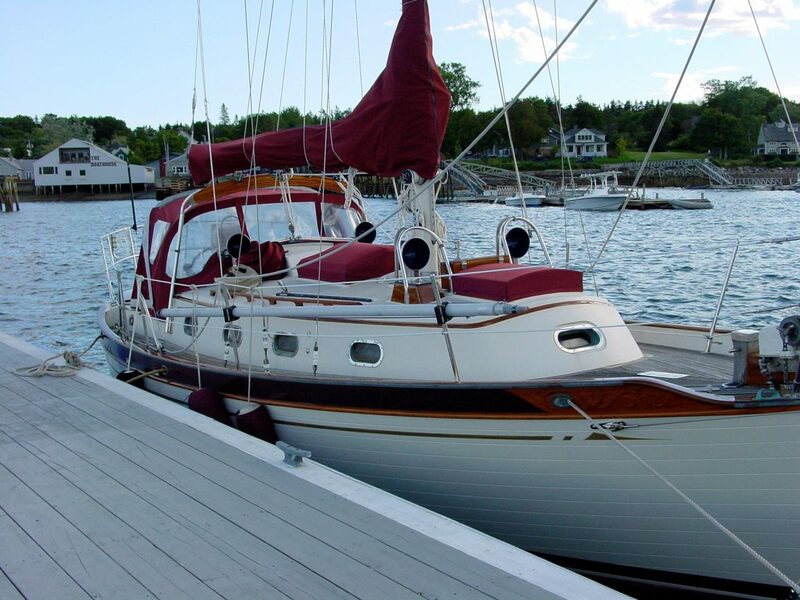 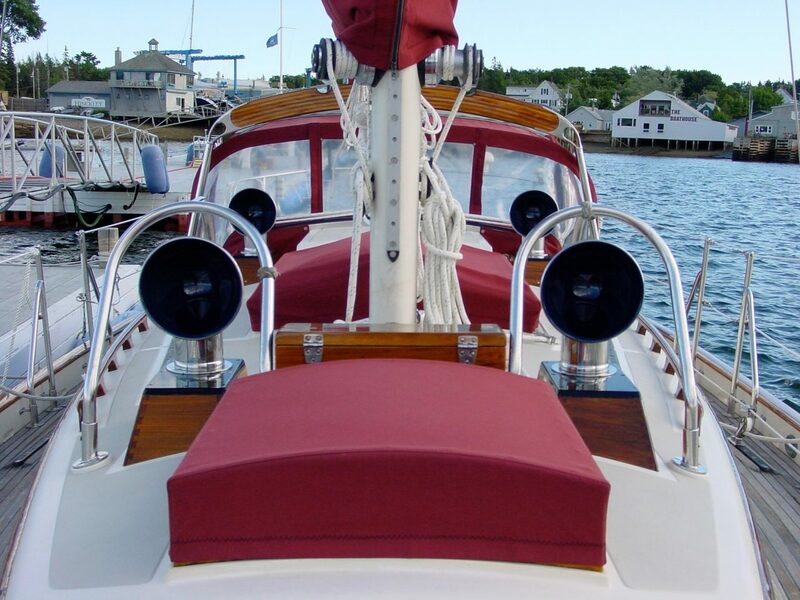 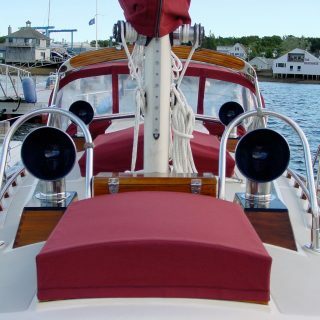 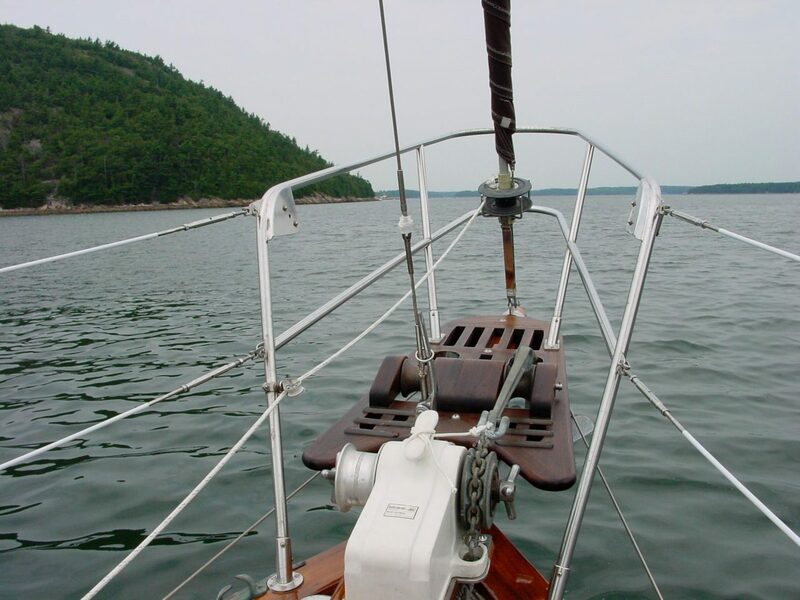 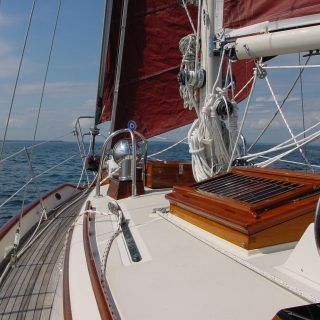 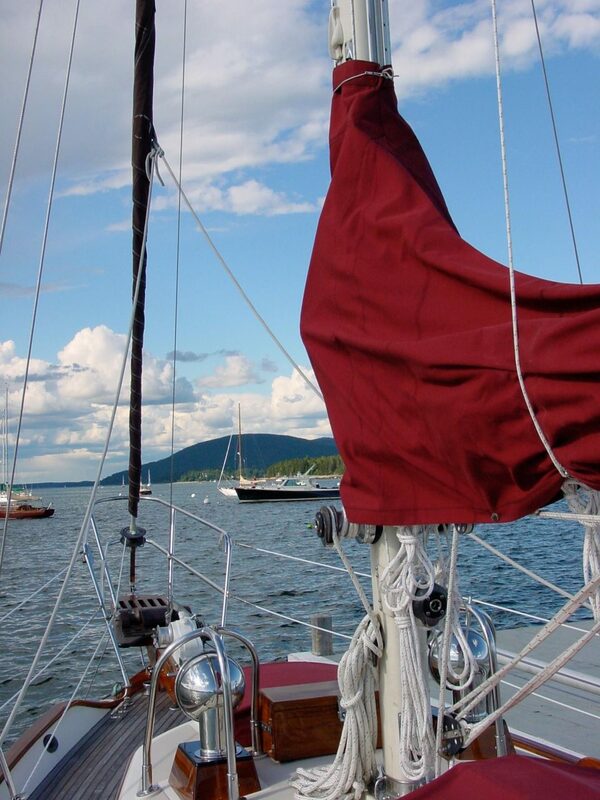 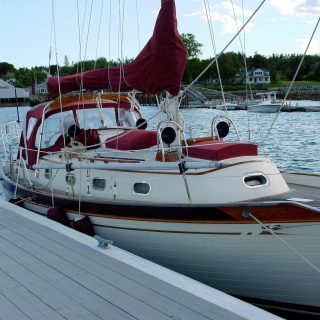 She then cruised the Maine coast during the summers of 2006, 2007, and 2009 and has been in heated storage since 2009. 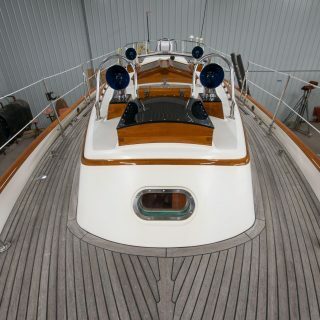 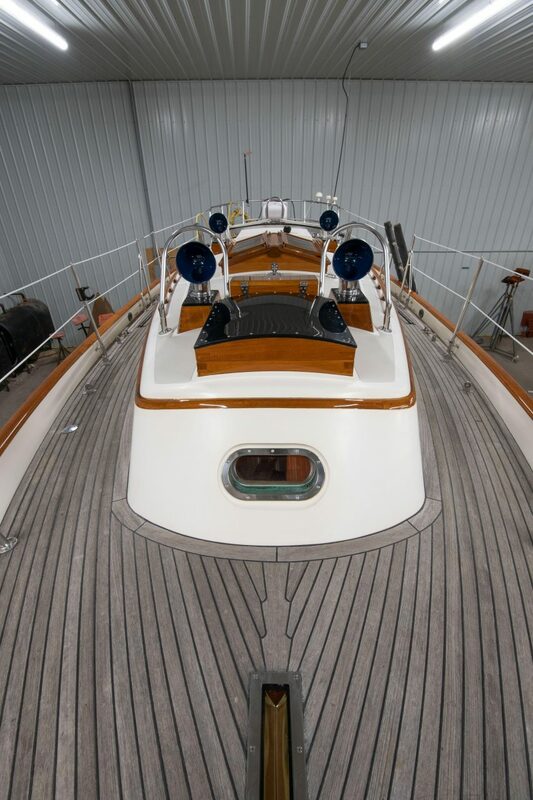 Built in 1988, Meribeau (#20) is one of the last production Tashiba 31 canoe stern cutters and was impeccably built by the highly regarded Ta-Shing Yacht Building Company. 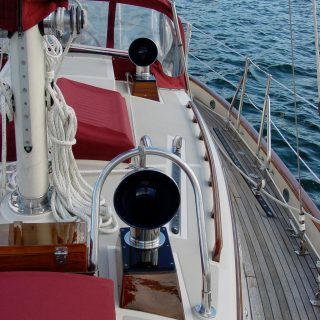 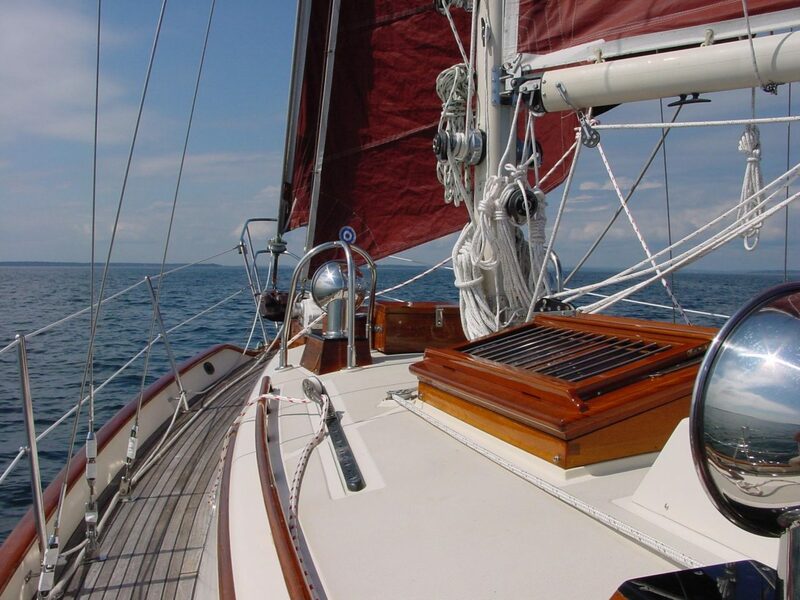 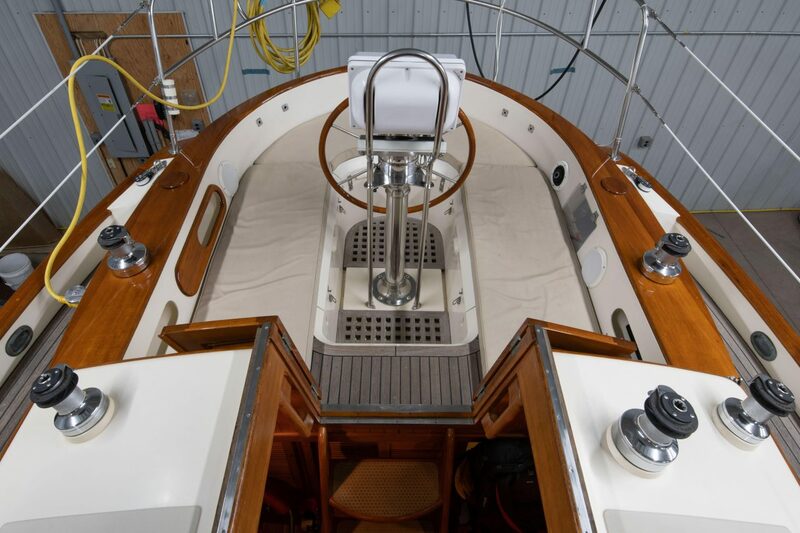 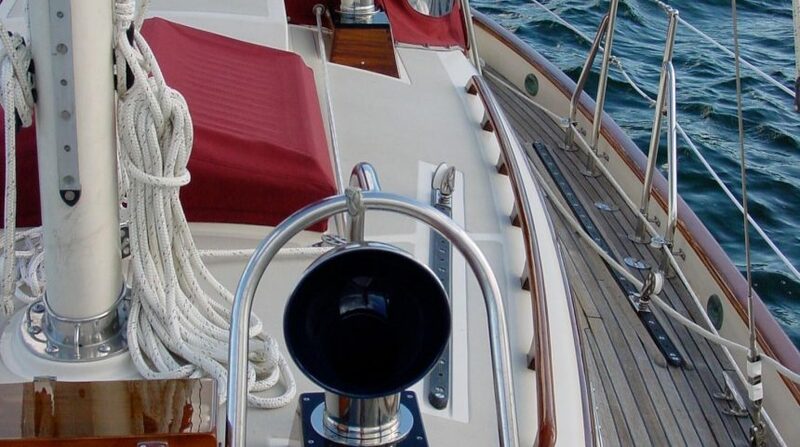 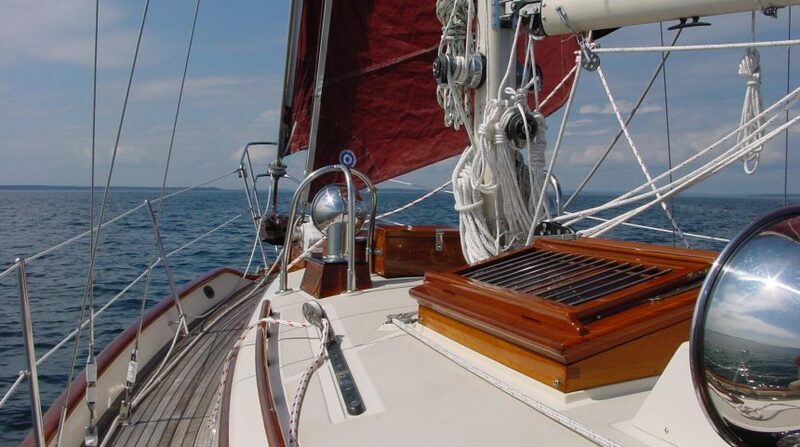 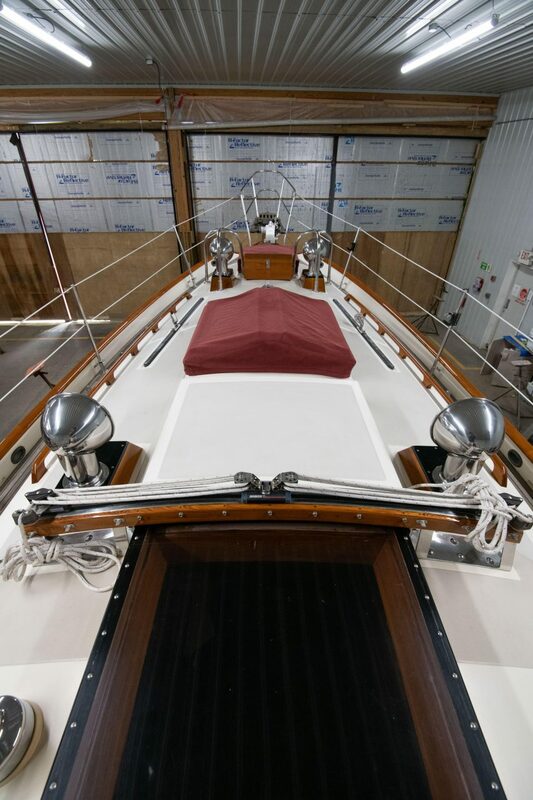 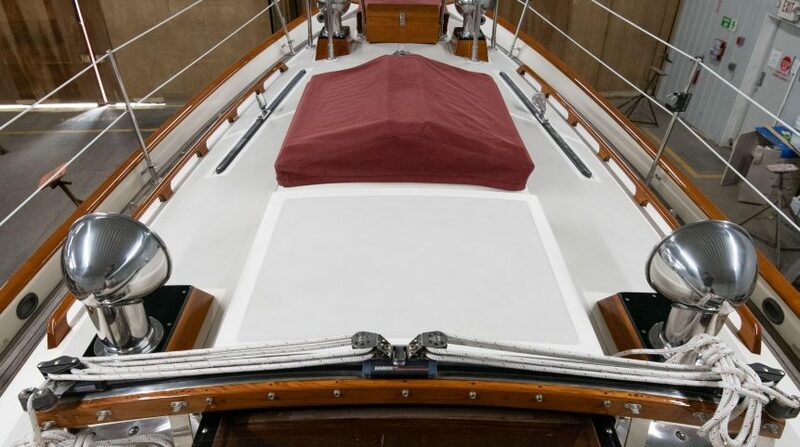 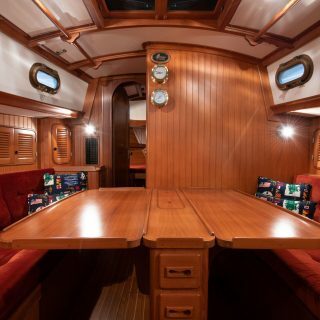 She is a pleasure to sail with her solid hull, rugged rigging, Tanbark sails, fine custom crafted teak joinery, comfortable roomy cabin, extensive equipment, and confident handling and performance in light air or heavy weather. 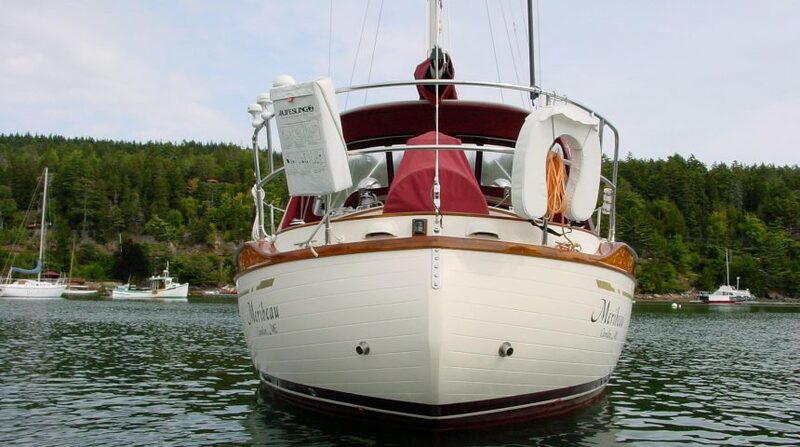 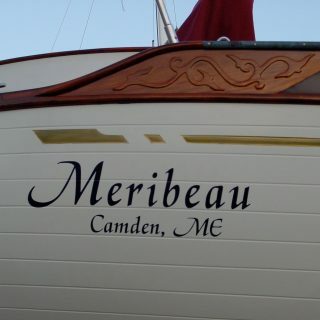 Meribeau has been lightly used over her life in Northeast waters and is ready for elegant adventure cruising in safety and comfort. 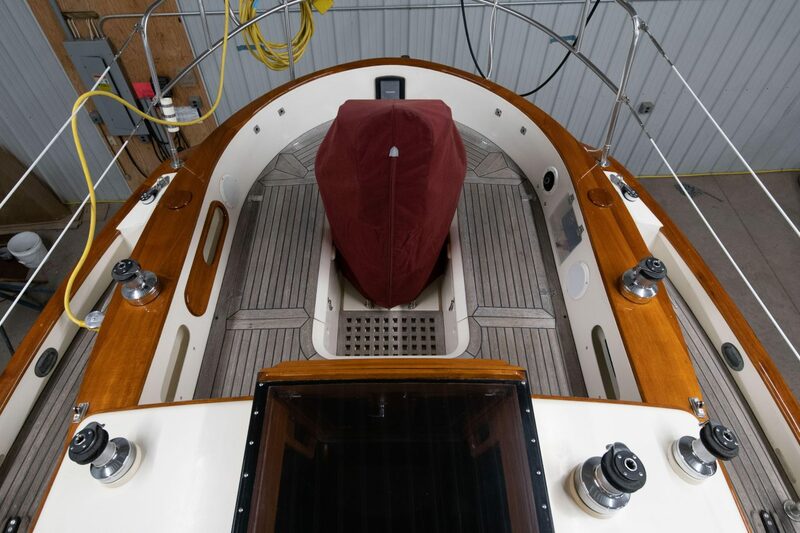 Fiberglass deck overlaid completely with teak strips, bedded and screwed to the fiberglass. 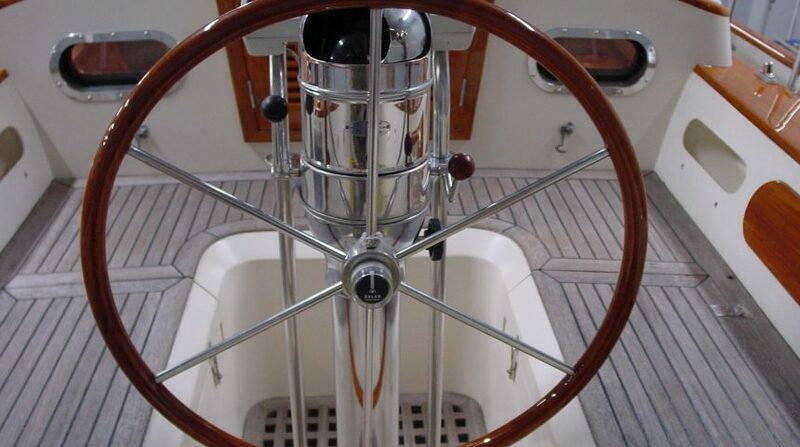 Teak cockpit and cockpit grating. 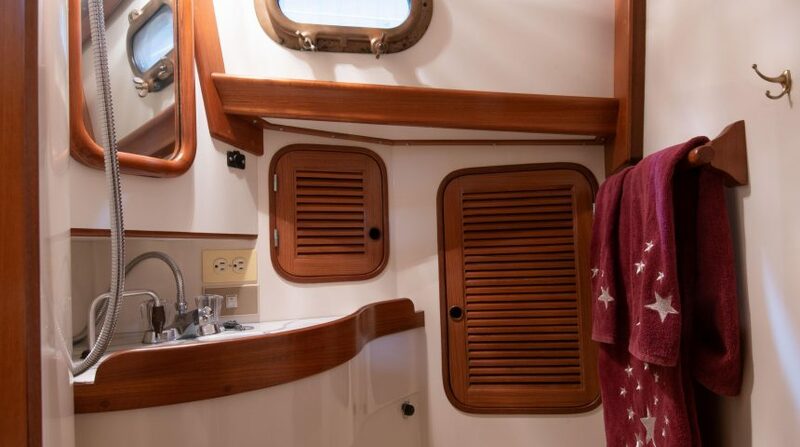 Shelves above the berth, drawers below and a hanging locker to port. 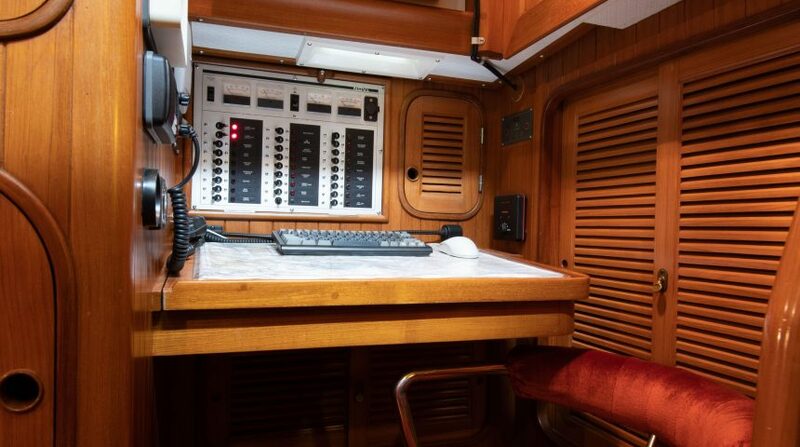 12 volt and 120 volt outlets. 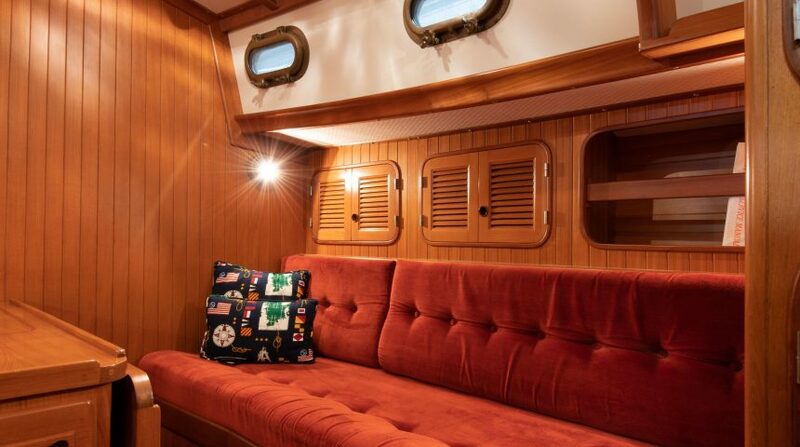 Main salon with centerline drop-leaf table and settee that converts to a double berth to starboard, single settee/berth to port. 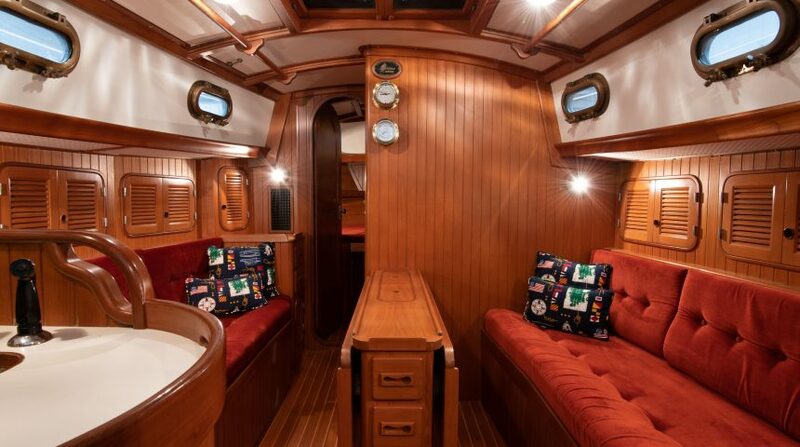 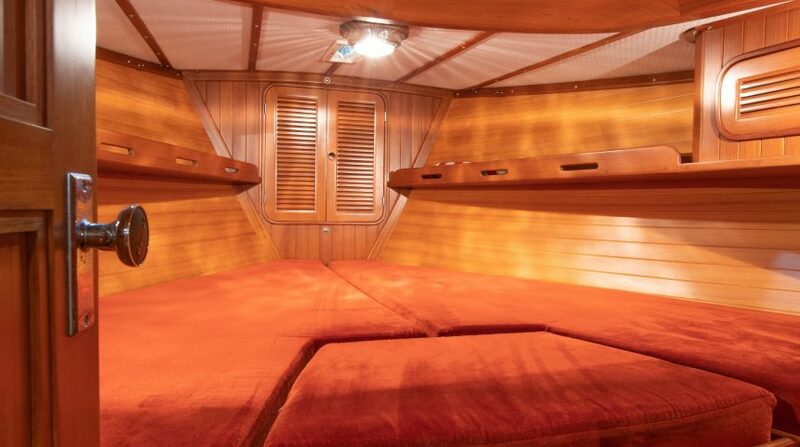 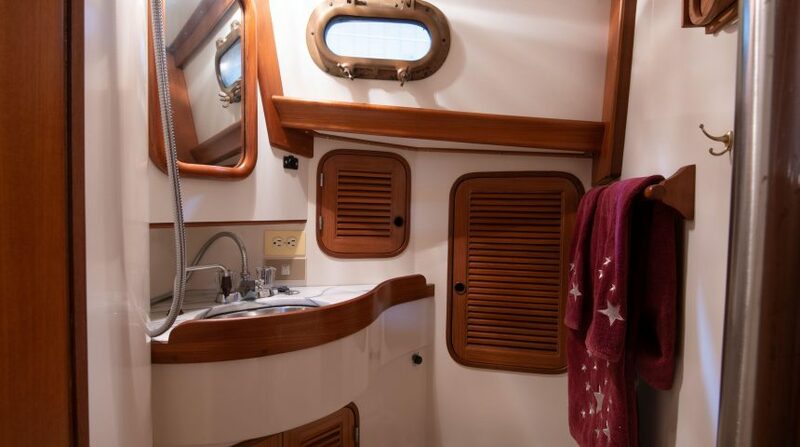 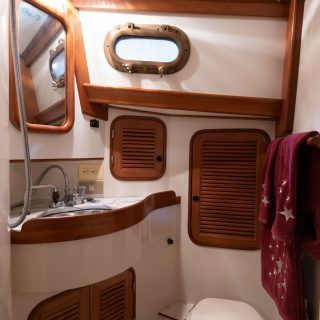 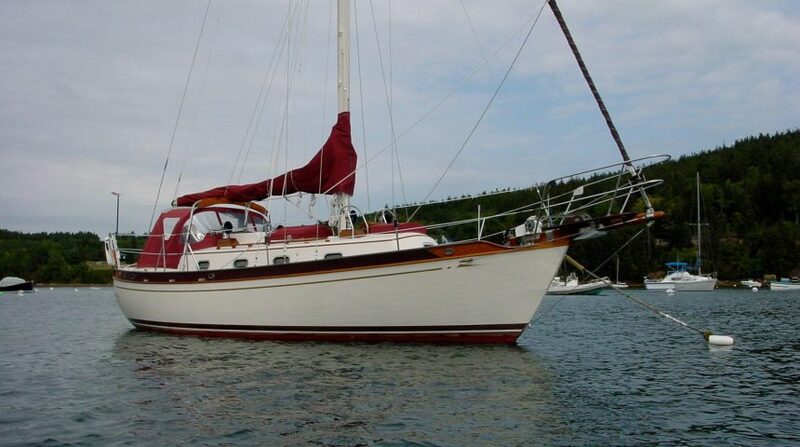 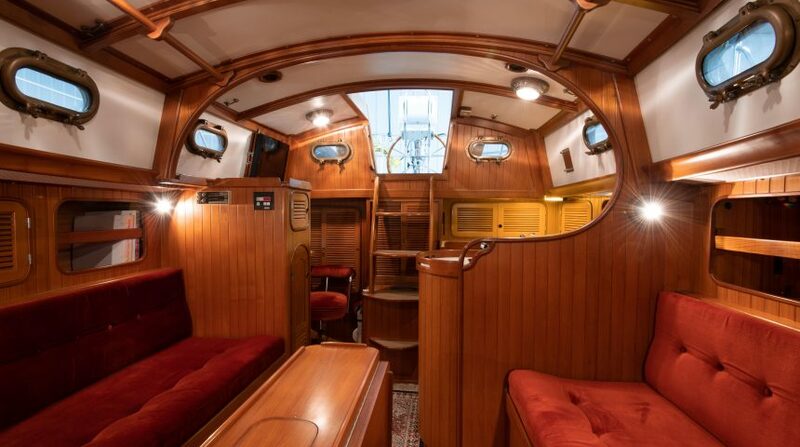 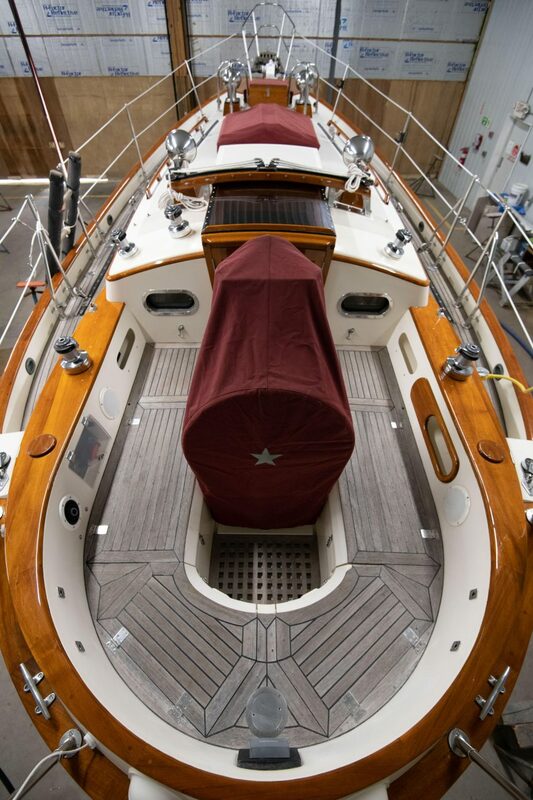 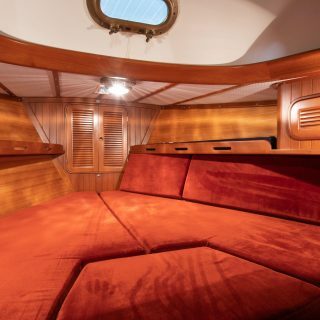 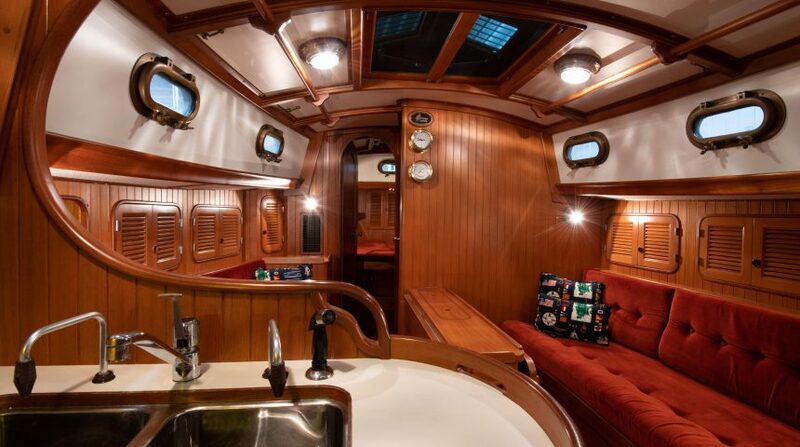 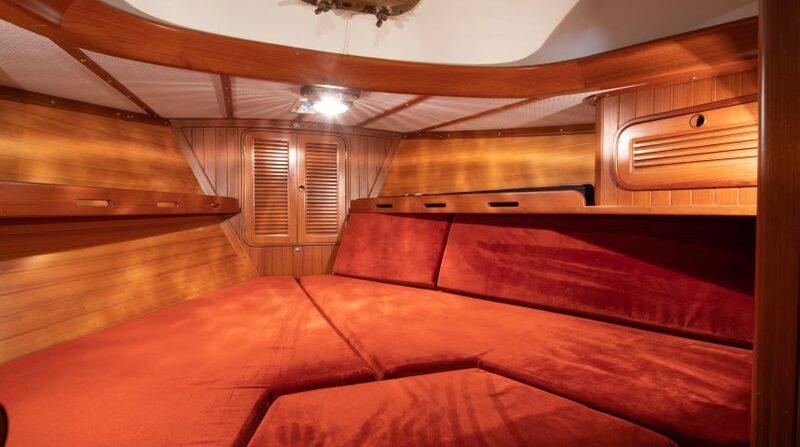 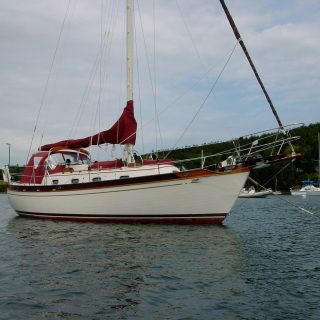 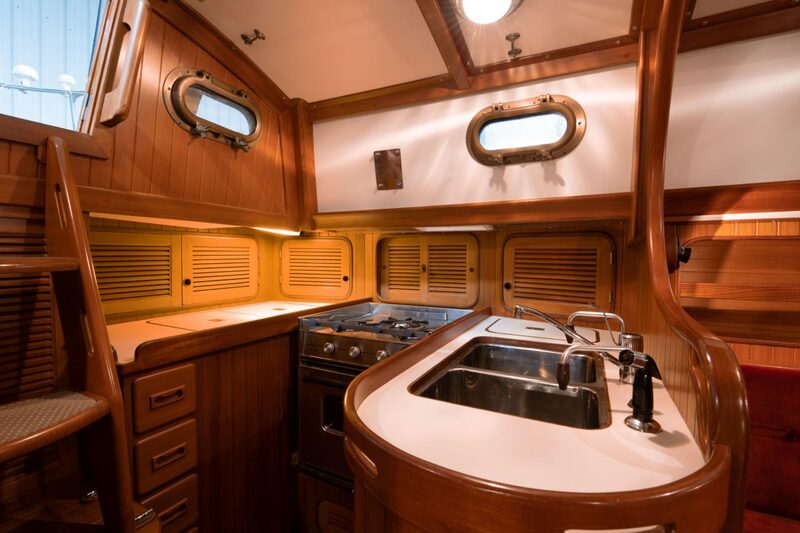 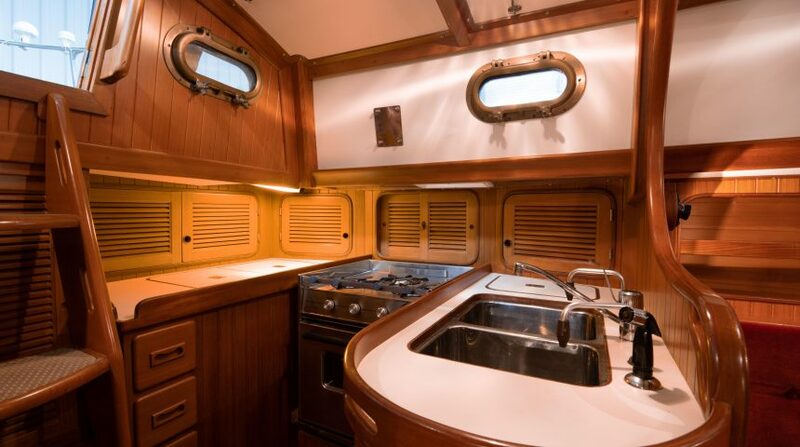 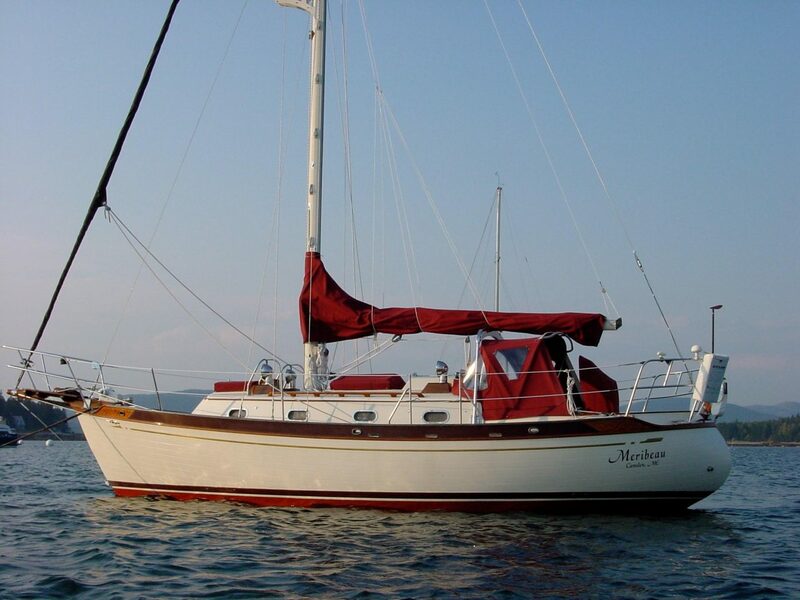 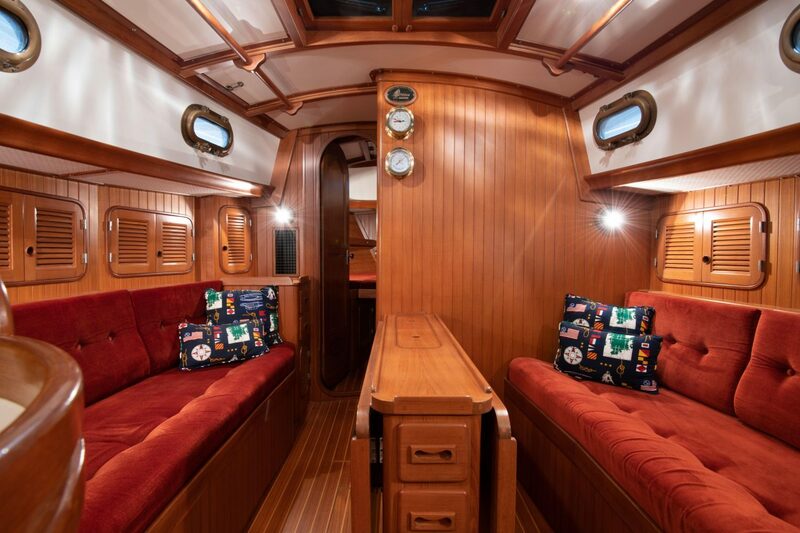 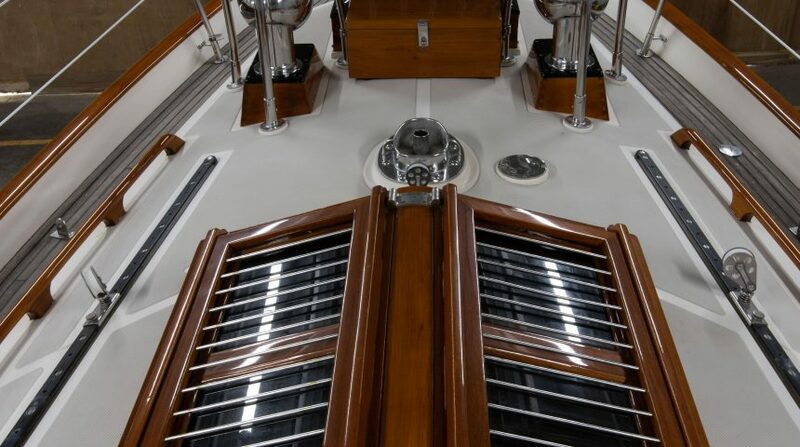 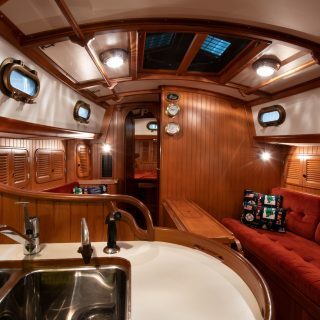 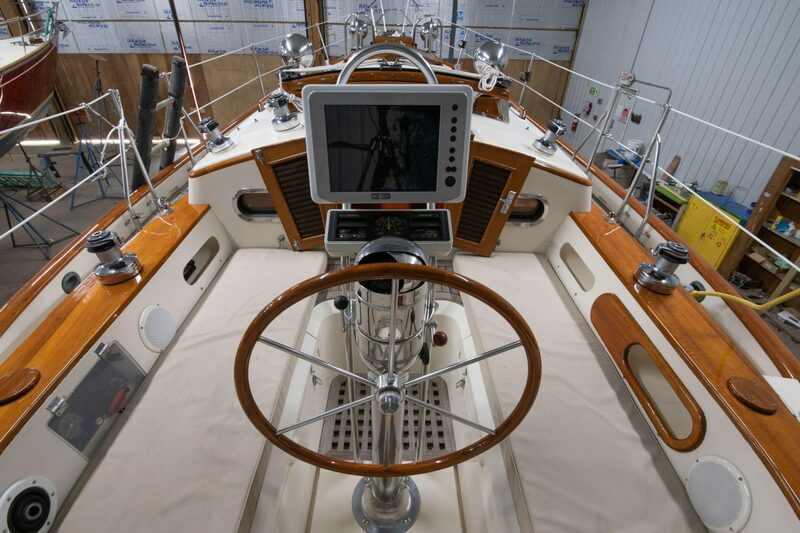 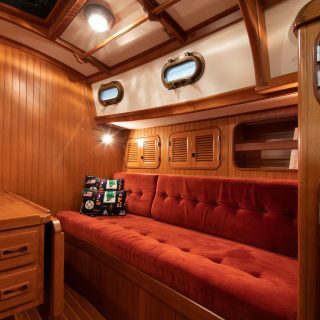 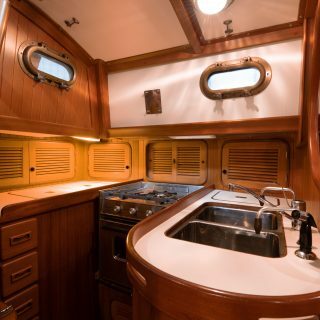 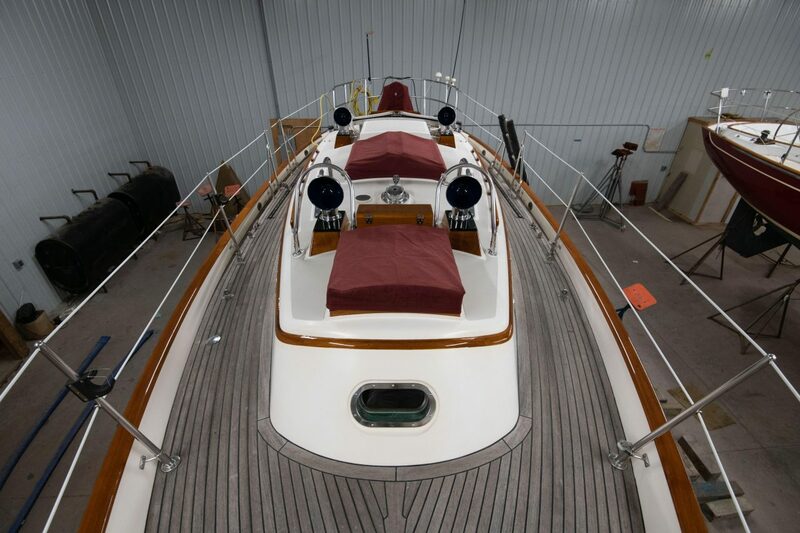 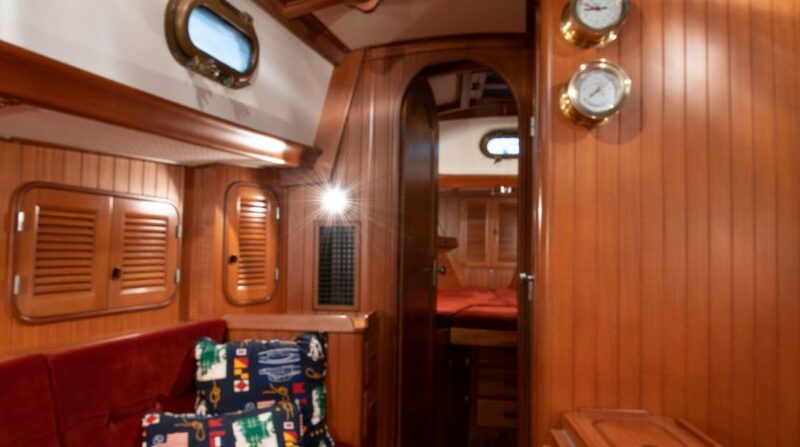 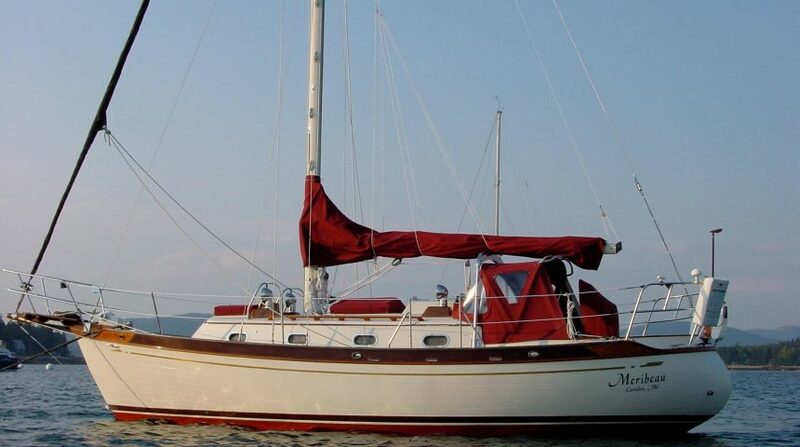 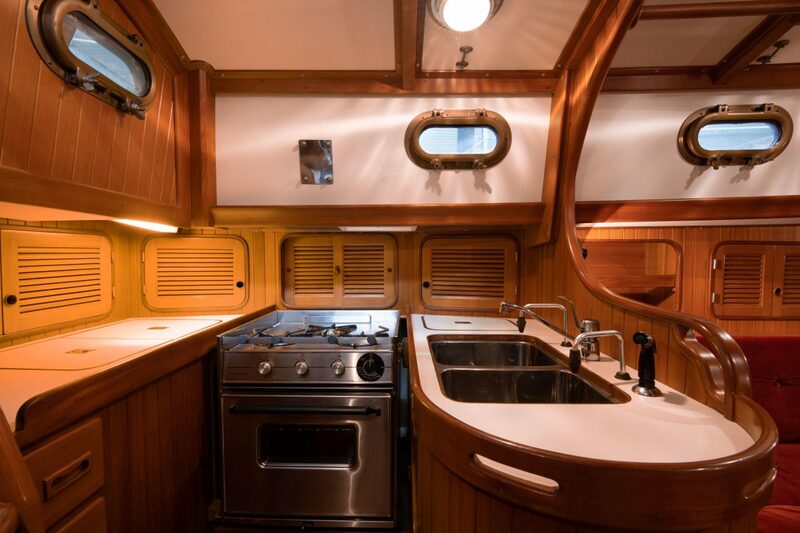 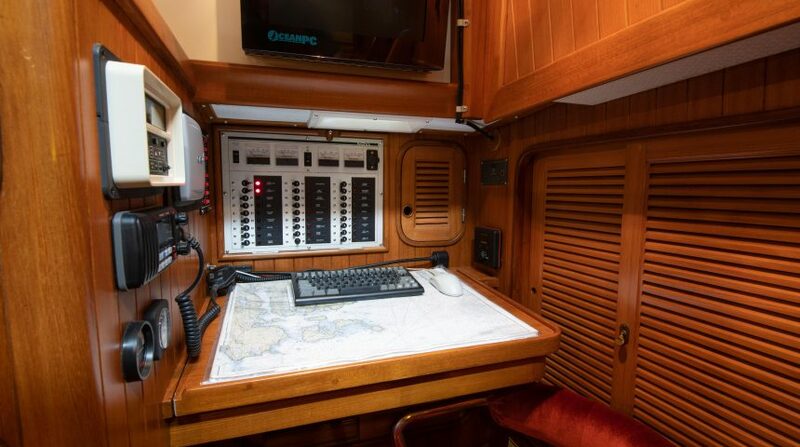 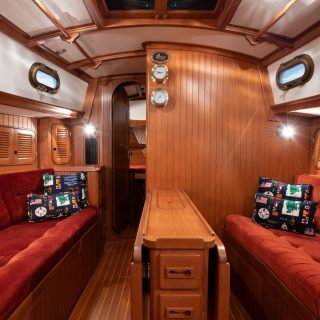 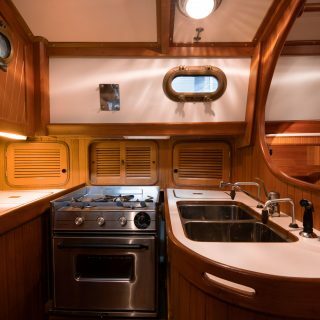 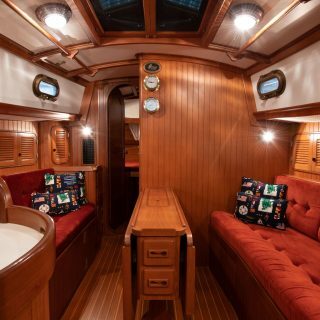 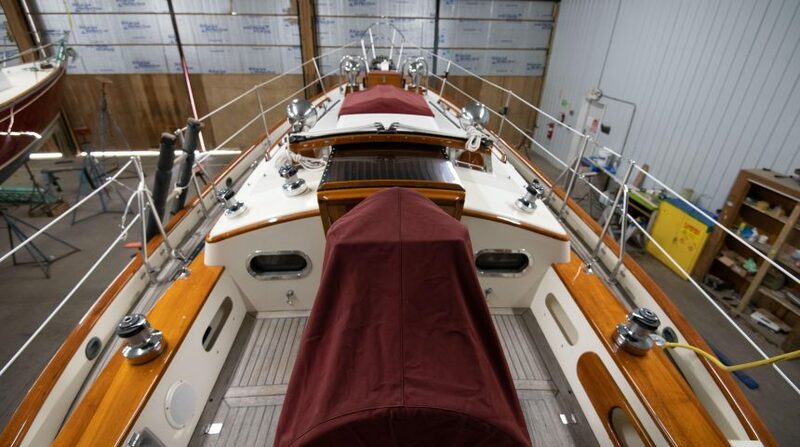 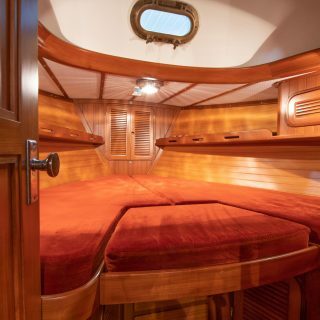 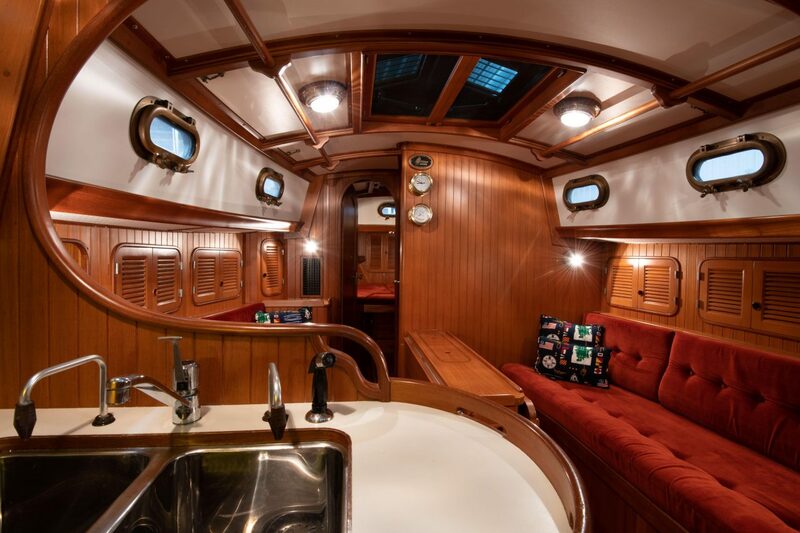 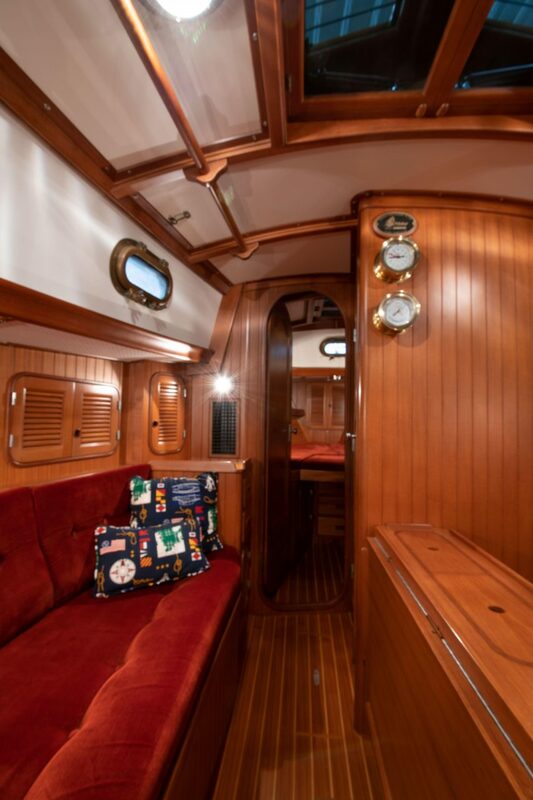 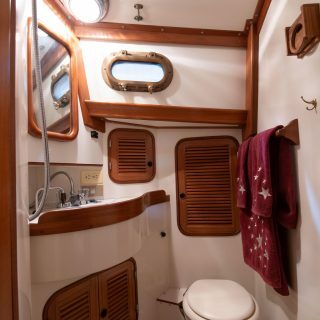 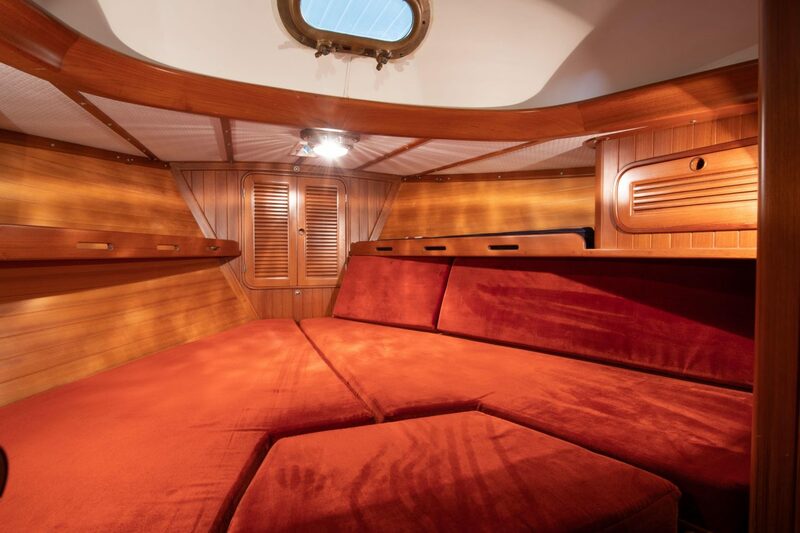 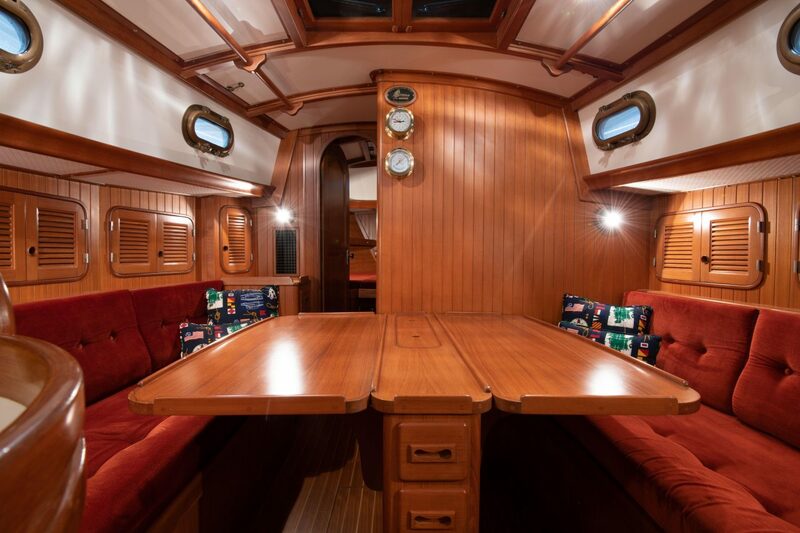 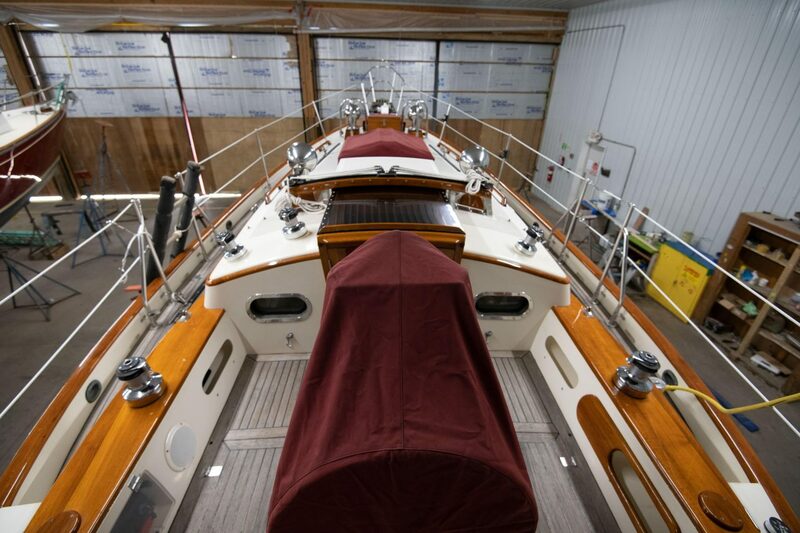 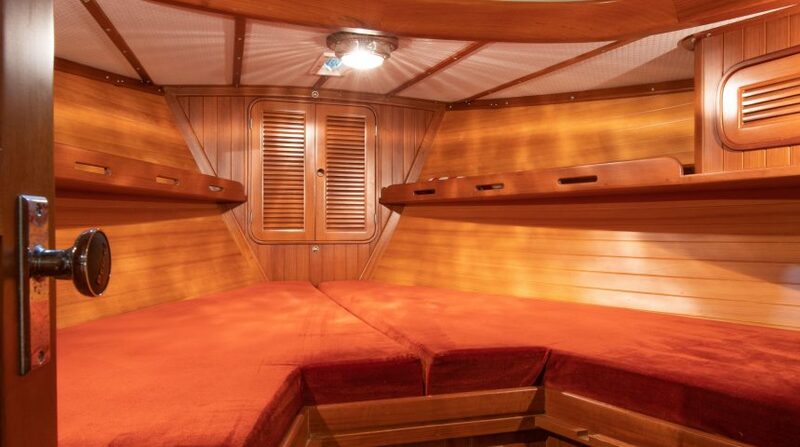 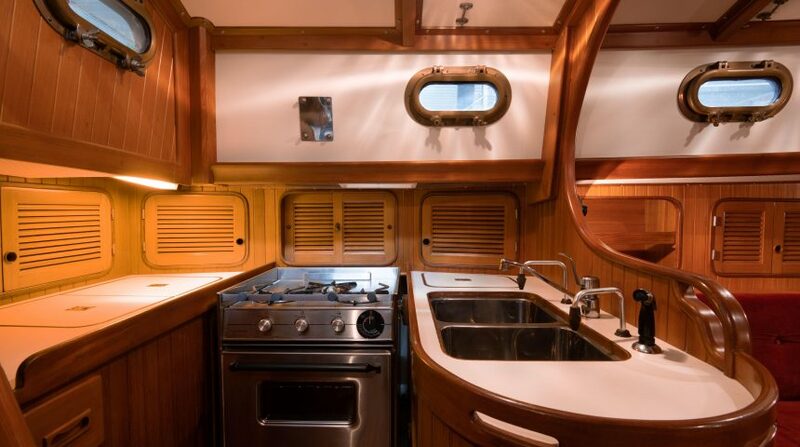 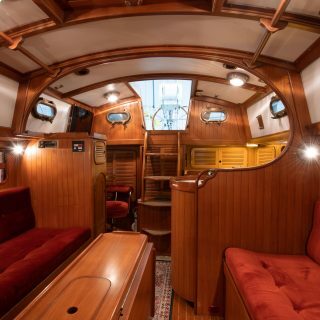 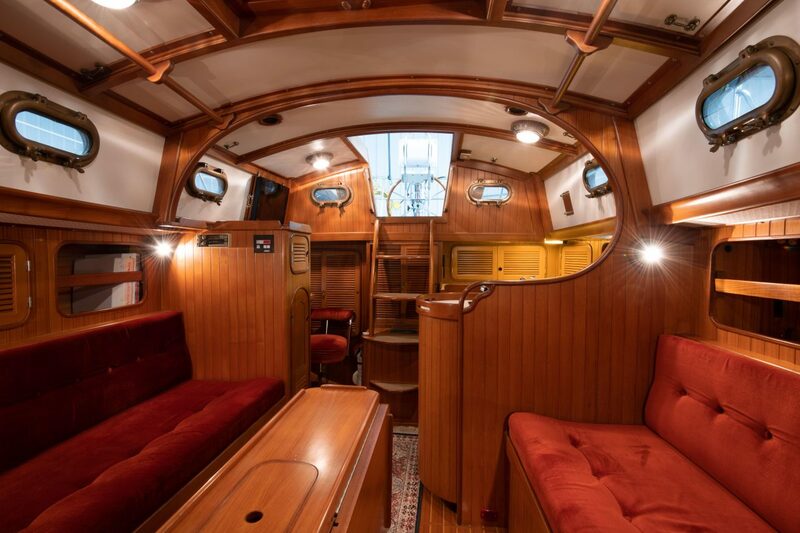 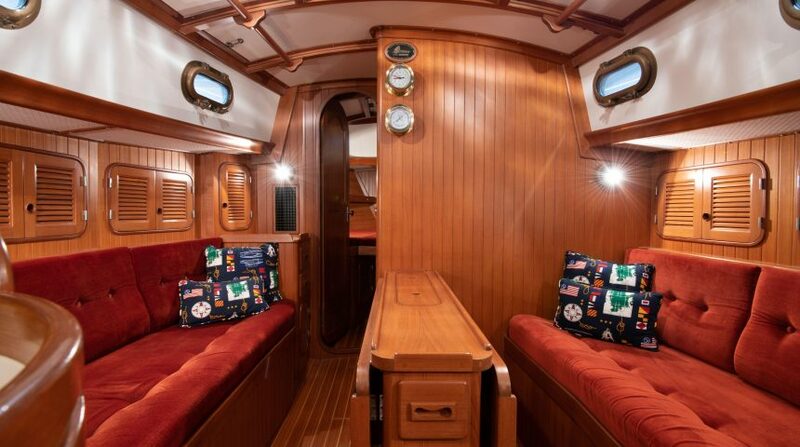 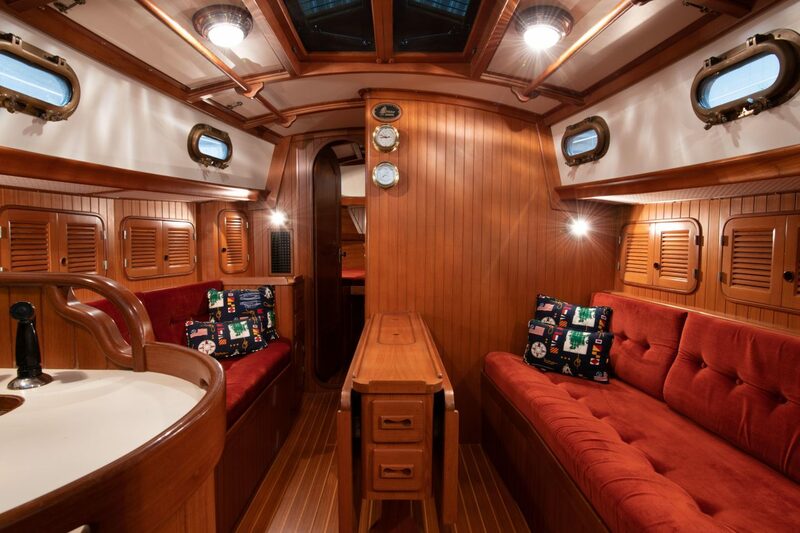 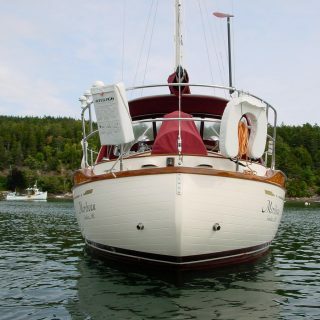 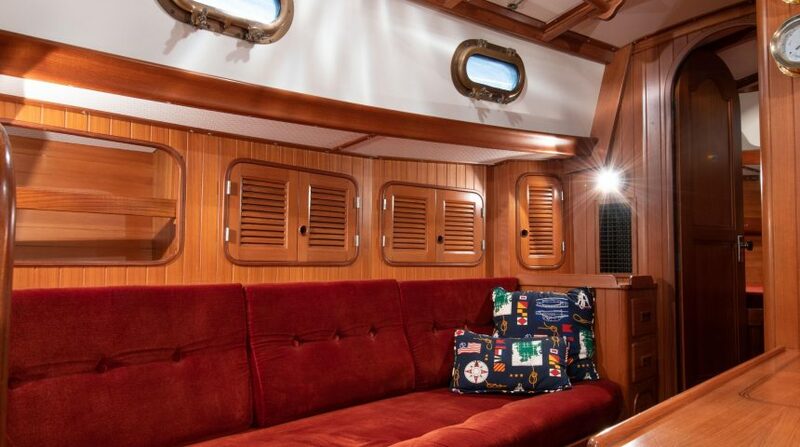 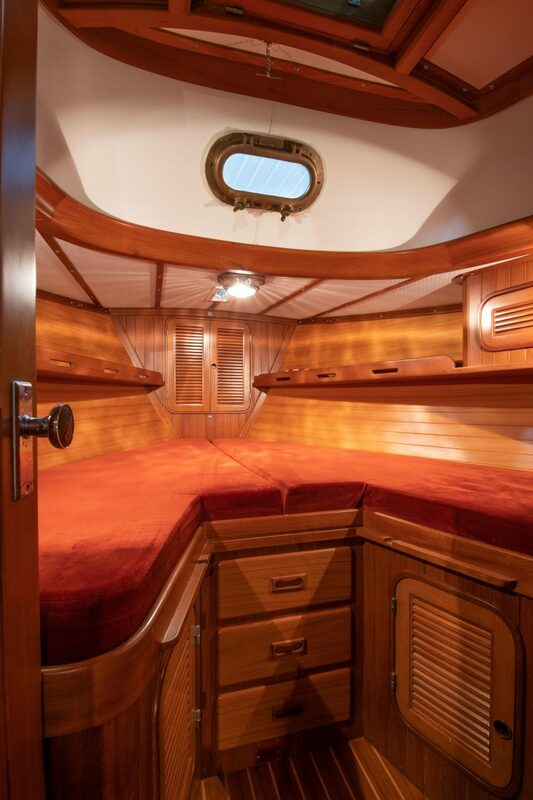 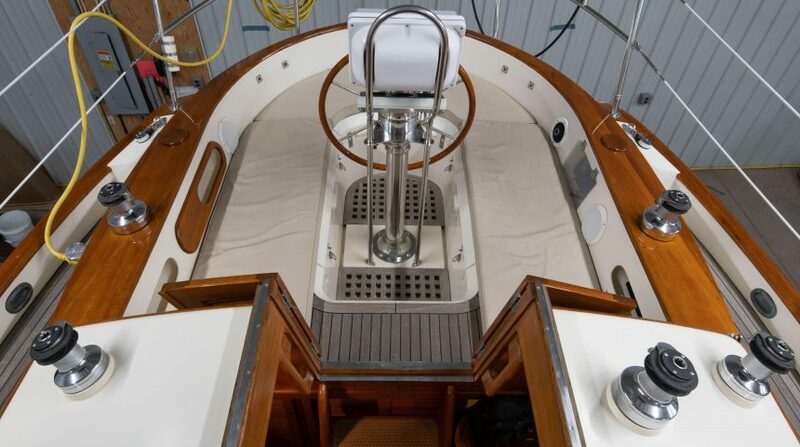 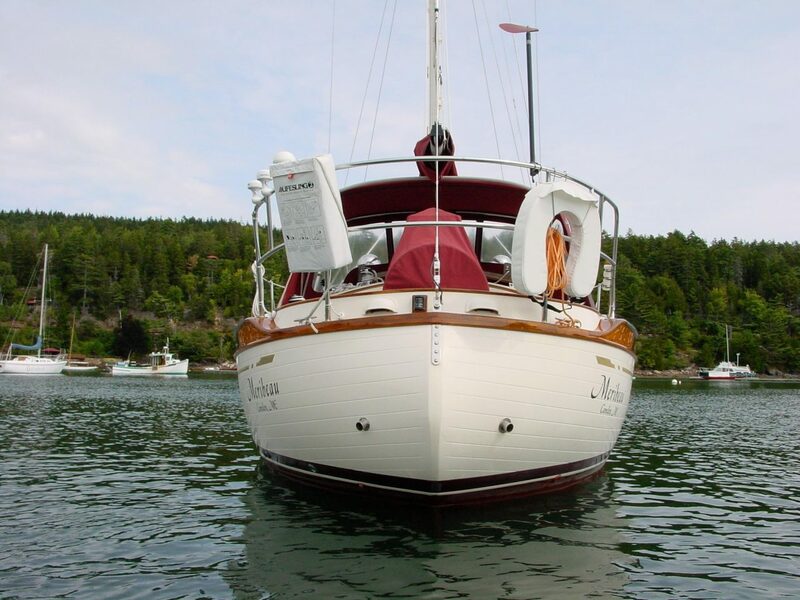 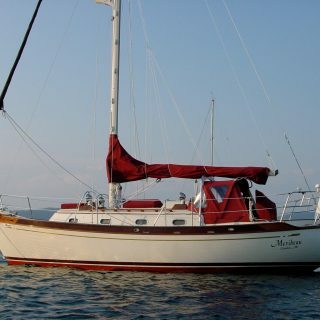 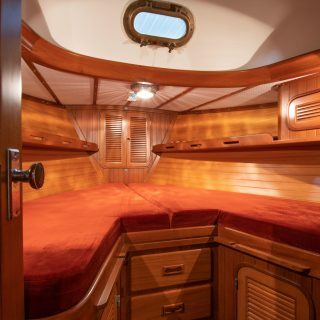 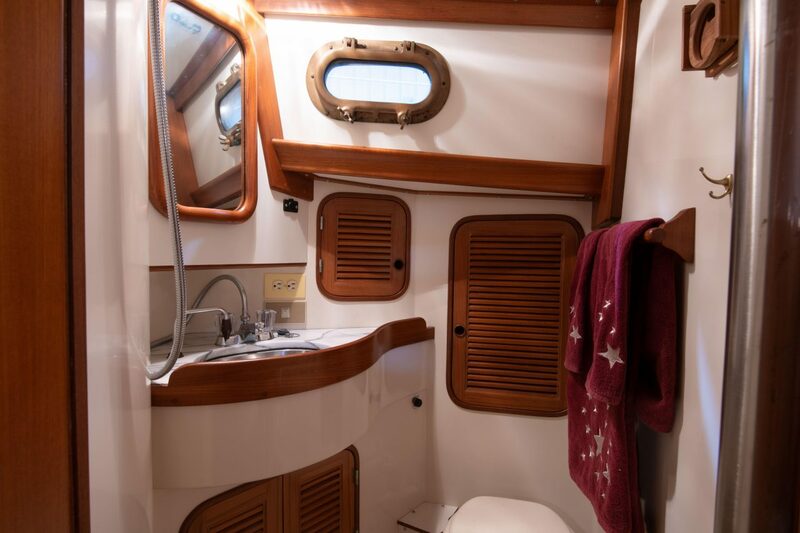 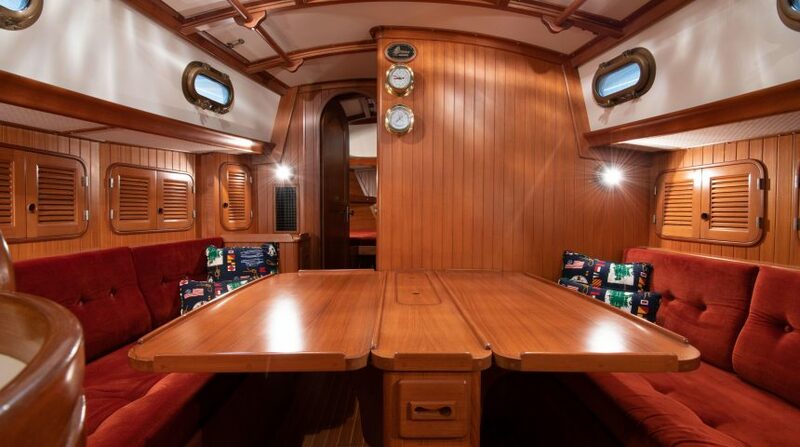 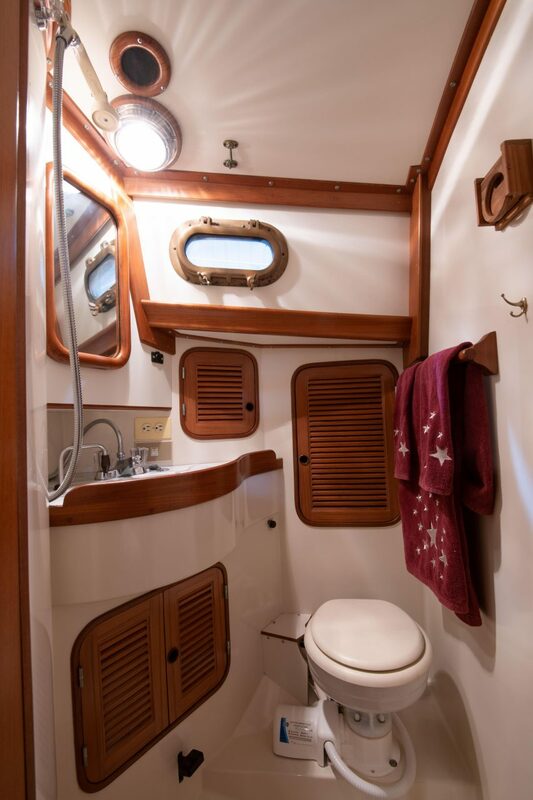 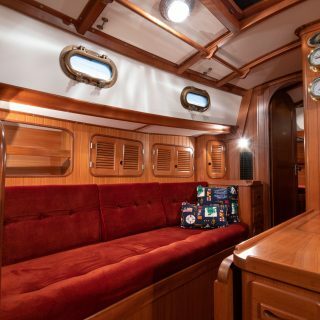 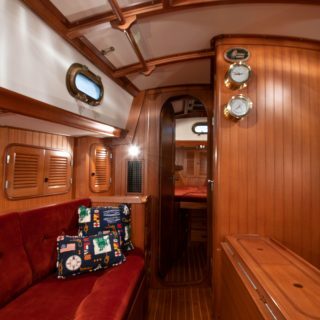 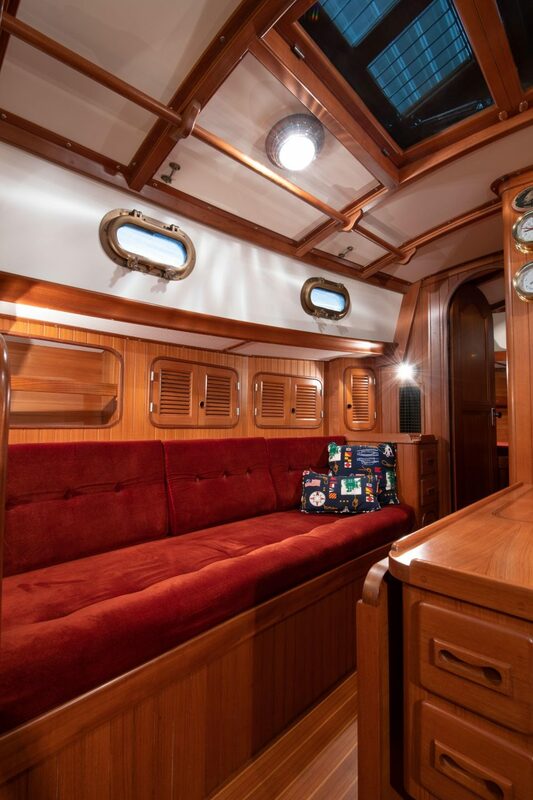 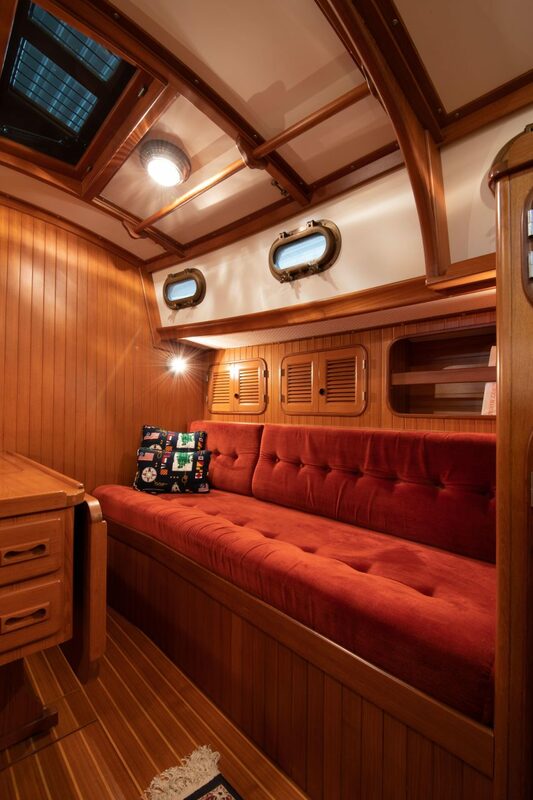 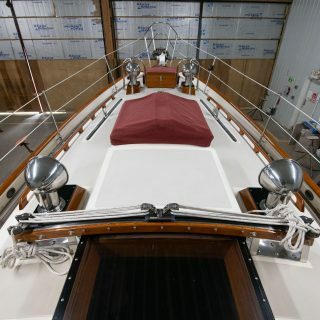 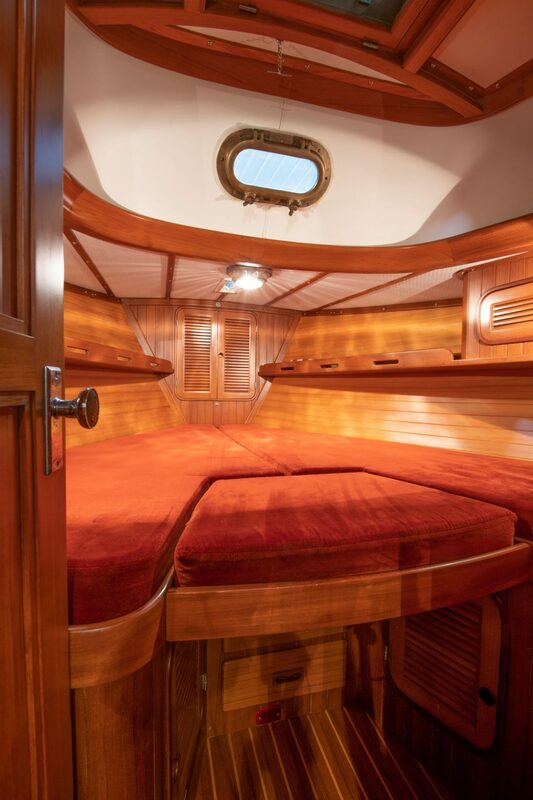 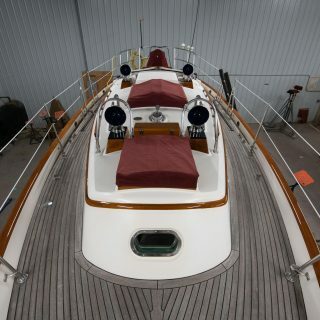 Keyhole galley aft to port with refrigerator/ice box, 3 burner stove/oven, deep double sink and generous storage. 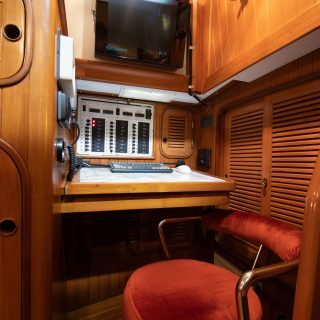 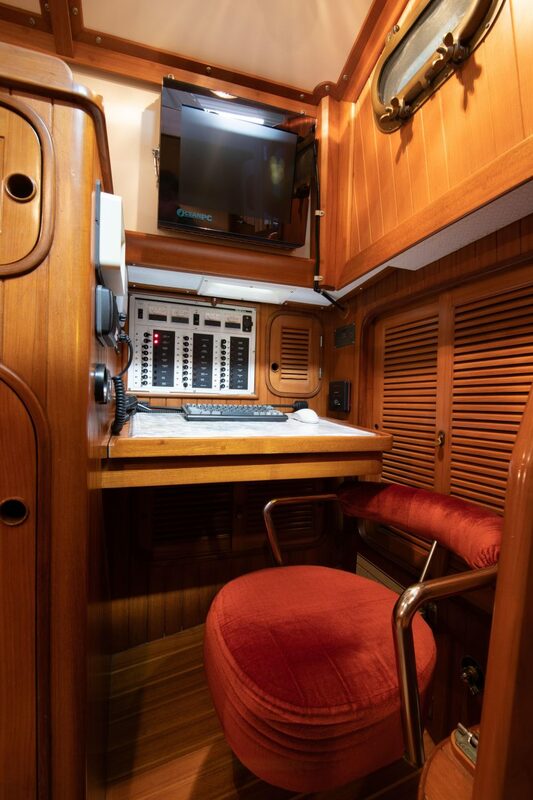 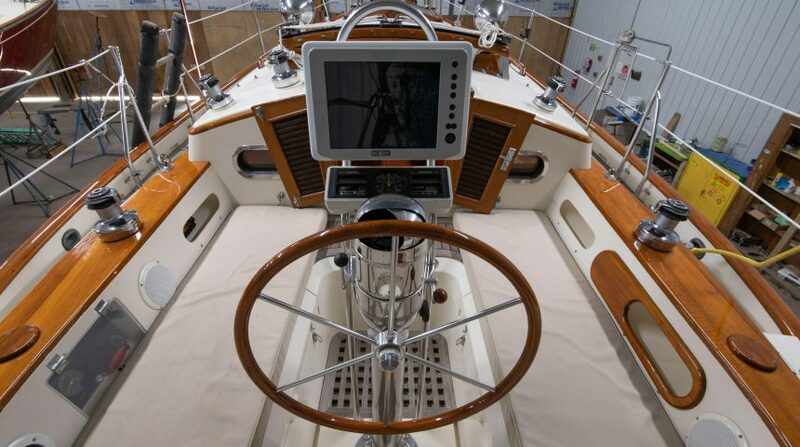 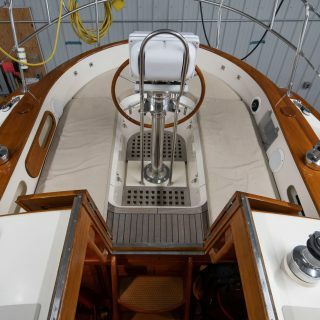 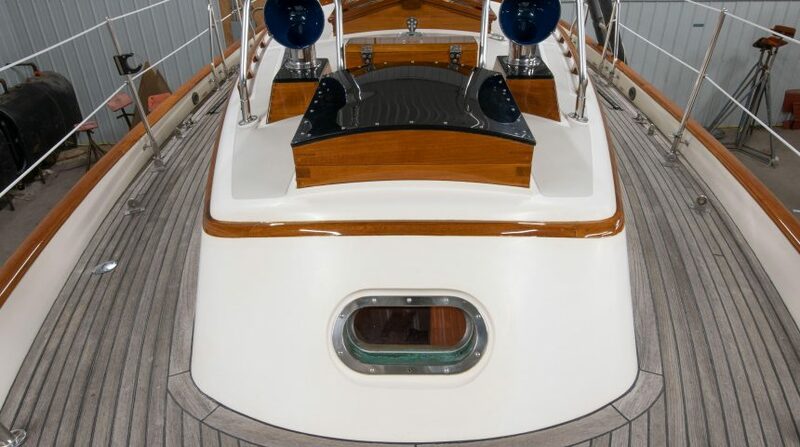 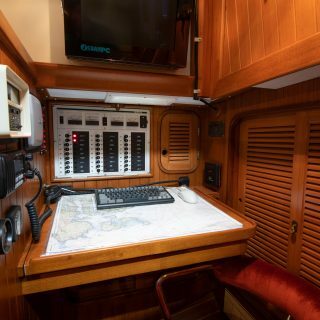 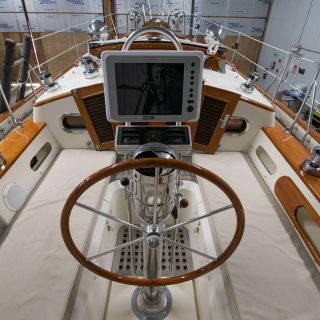 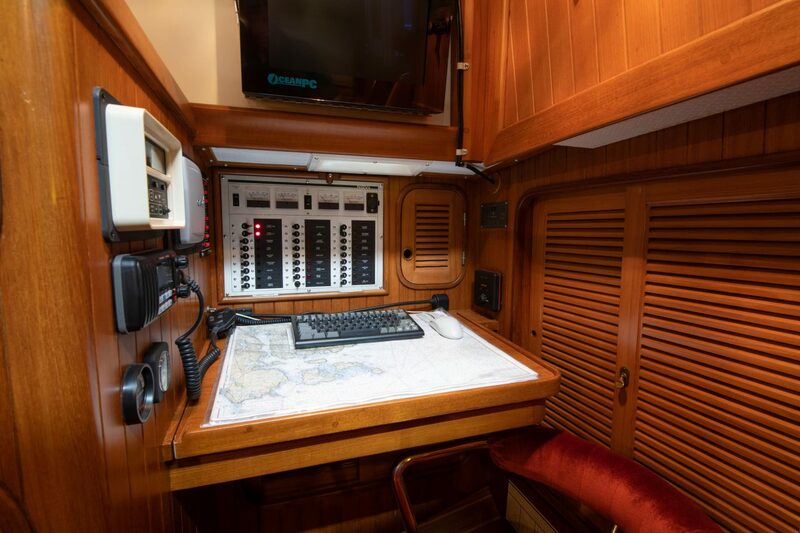 Forward facing nav station aft to starboard with custom swivel seat, opening chart table, ample storage and large locker aft. 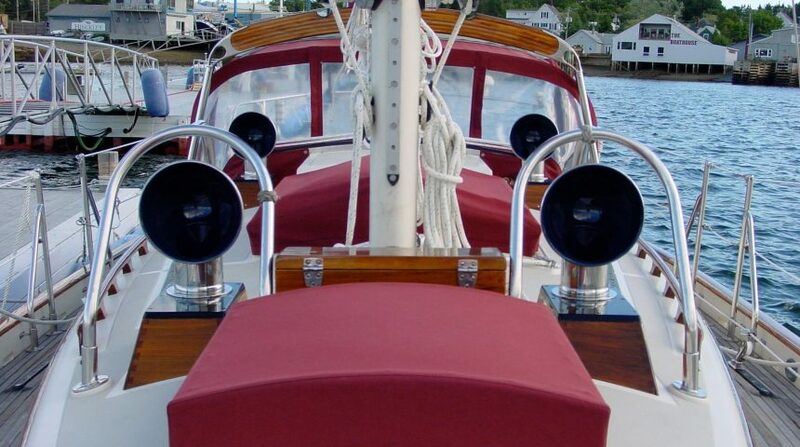 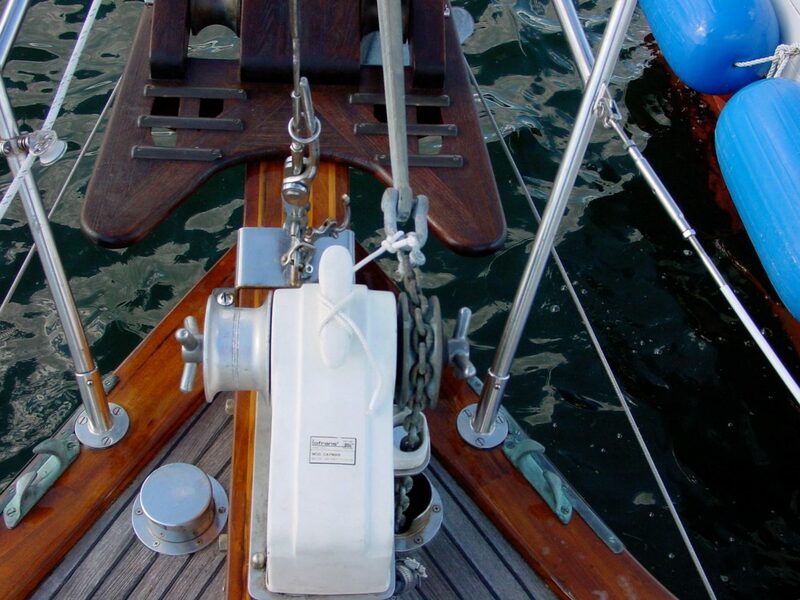 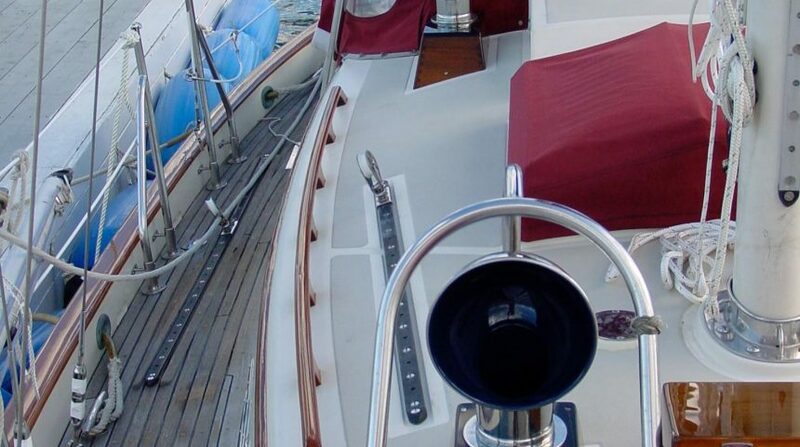 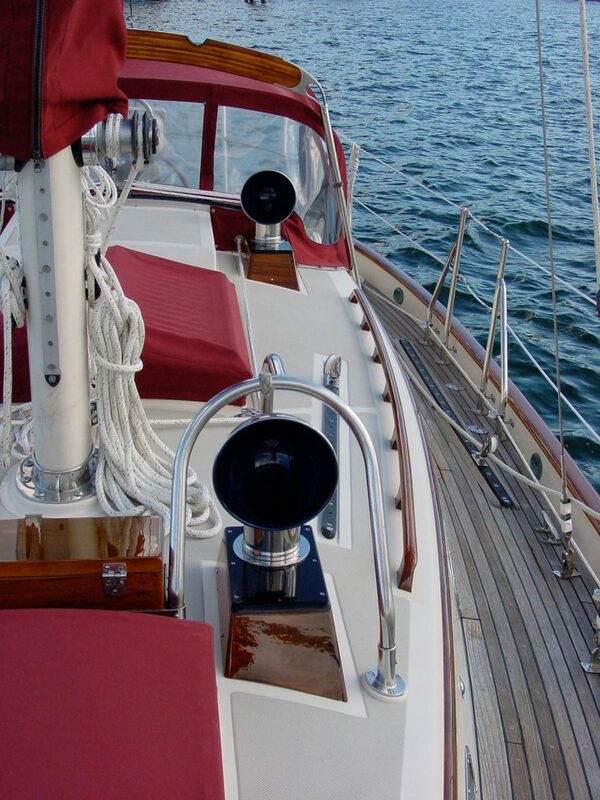 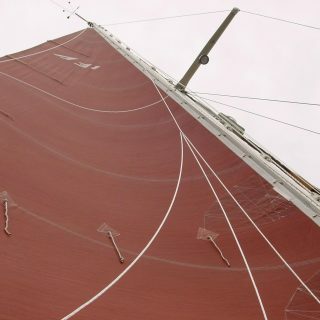 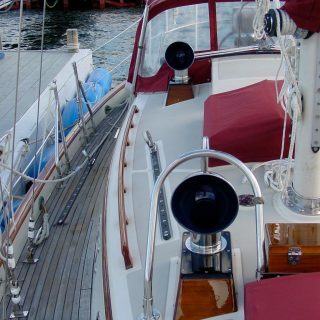 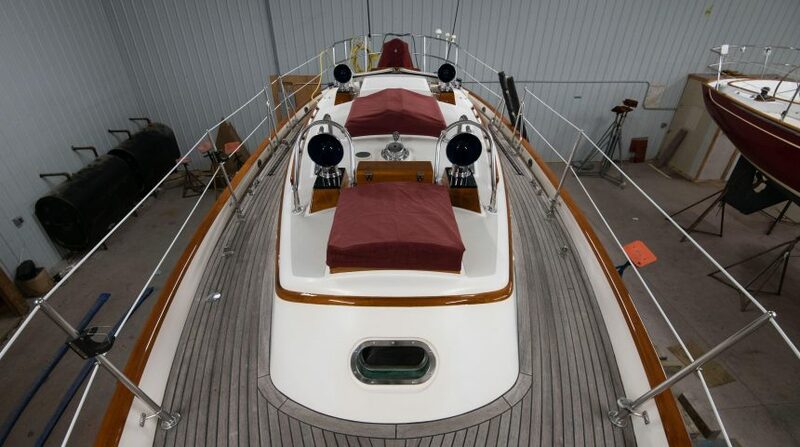 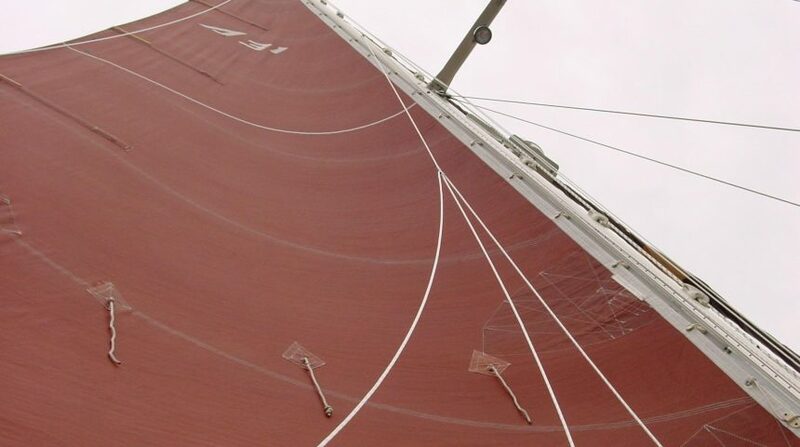 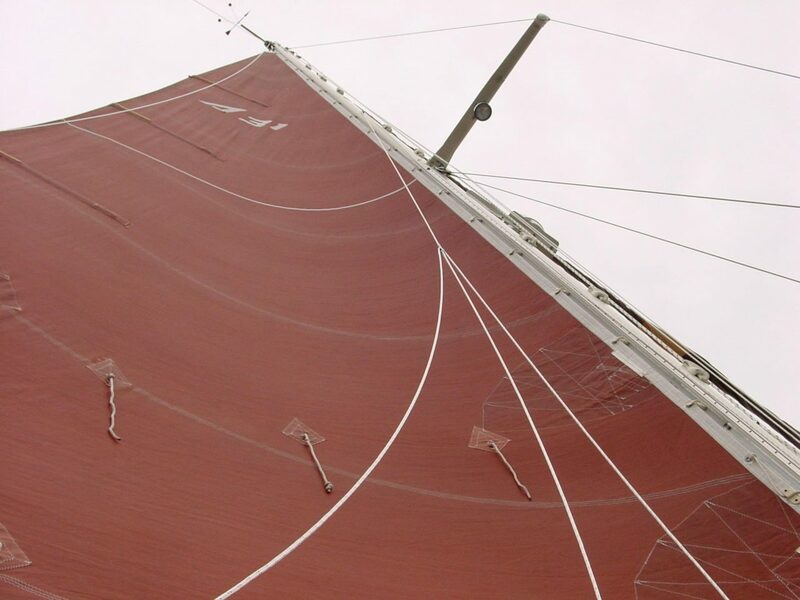 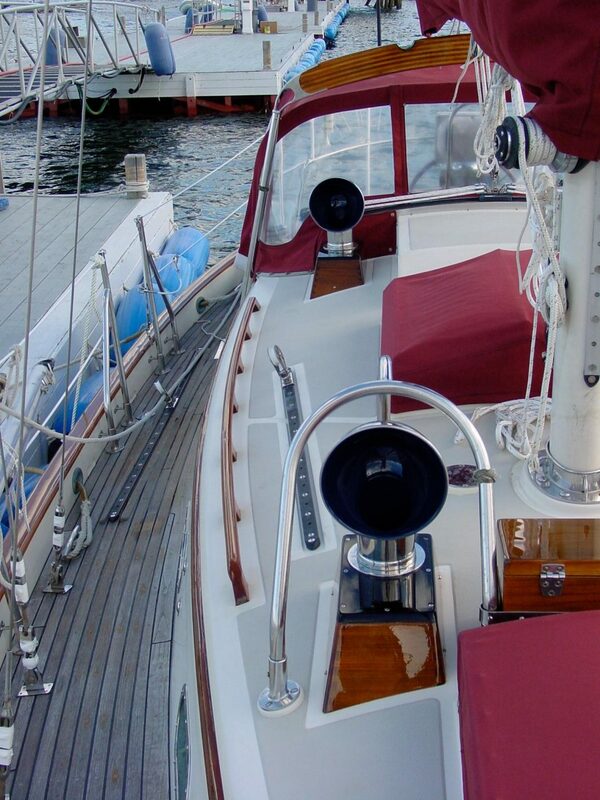 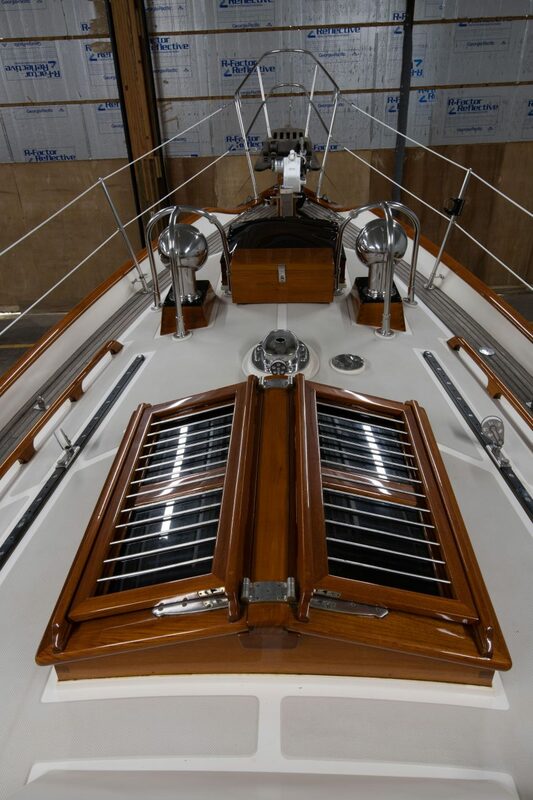 (2) spreader lights and (1) foredeck light on the front of the mast. 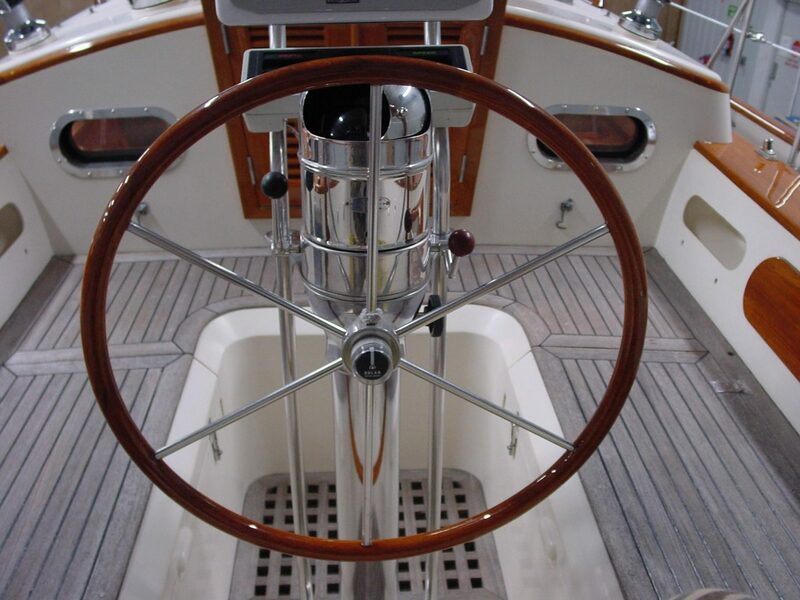 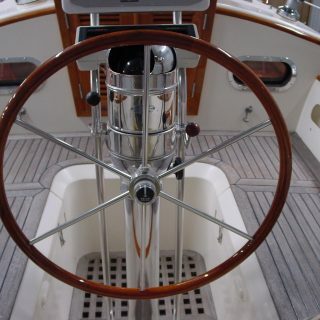 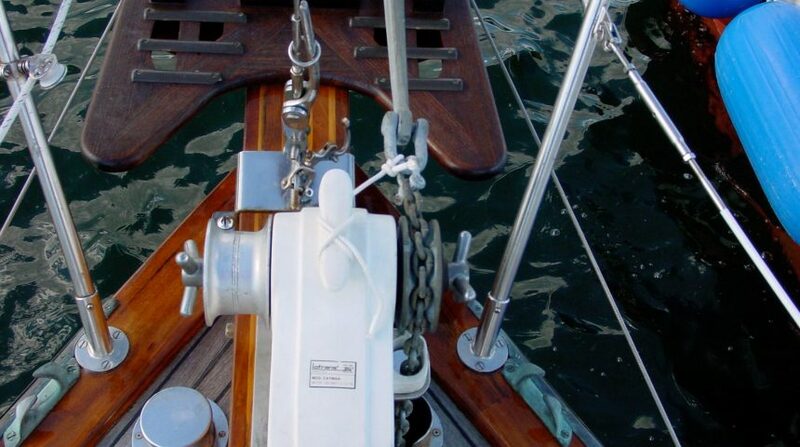 Lofrans Cayman 12 volt electric windlass on bow with foot switches for raising and lowering. 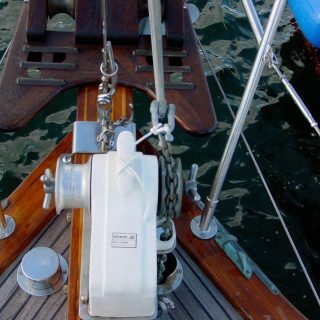 Manual operation with removable handle. 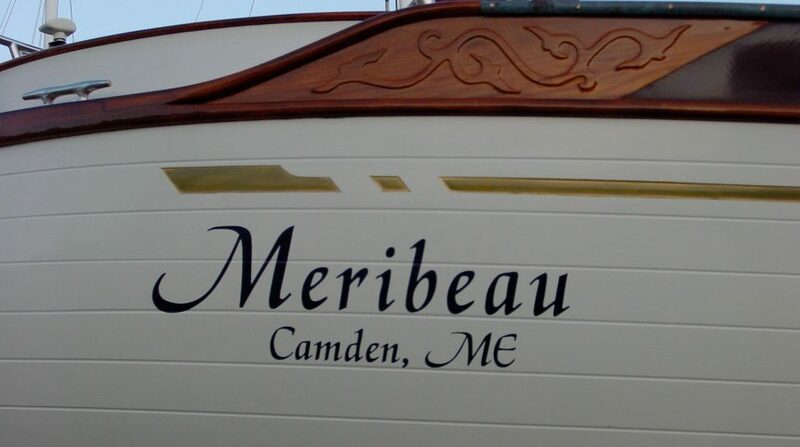 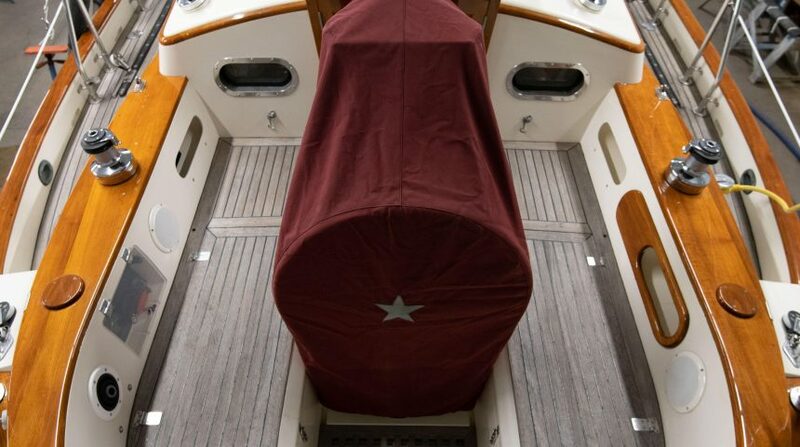 For more information on MERIBEAU, please contact Morris Yachts Sales & Brokerage Director Wythe Ingebritson at (207) 664-8111 or at wingebritson@morrisyachts.com.